3/16 First, let me continue to call your attention to the 50th Anniversary Celebration on April 4, details on the invitation linked below. Please join us for "Local Politics in Action," an interactive discussion with Honors Fellow Andrea Benjamin, Tuesday, 3/18 from 6-8 PM in G421 Mason Hall (seminar room in the Perlman Honors Commons). Supper will be included! Think national politics is getting stale because the presidential candidates look set? Local politics is always active and frequently has more impact on citizens than national politics. Have you ever wondered how city governments make decisions and deal with problems? Come find out by being a city politician for an evening! Together, we will tackle an issue in city politics and try to resolve it as a group. This a very interactive approach to politics will not require any previous political science knowledge, just that you come prepared to interact with others and think critically. 3/13 I apologize for my inconsistent blogging (if we can still call it that) during the last month. I had a bit of a setback. Although I have run on Michigan snow and ice for almost 25 years with impunity (though felled in California when, mesmerized by natural beauty to which I was unaccustomed, I tripped over a California-sized curb and broke my wrist), I fell on ice masquerading as sidewalk while running on the Monday of Spring Break (Did someone say "Spring" Break? Did someone say Spring "Break"?) In any case, after surgery to insert the mandatory plate and screws, etc., I am back on the mend. There will be an amazing array of activities, from vignettes ofHonors classes, to presentations of Honors theses by graduating seniors, to a special Lunch With Honors with Honors Alum Thomas Bombelles on Corporate Responsibility and the Global AIDS crisis, to a wonderful lecture by Ralph Williams. You can find all the details on the official invitation here. Our next Lunch with Honors event will welcome Derek Bermel. Described as "an eclectic with wide open ears," Derek Bermel, a University of Michigan alumnus, has been widely hailed by colleagues, critics, and audiences around the globe for his creativity and theatricality as a composer of chamber, symphonic, dance, theater, and pop works, and his virtuosity and charisma as a clarinetist, conductor, and jazz and rock musician. Known for drawing freely from a rich variety of musical genres -- including classical, jazz, pop, rock, blues, and gospel -- he filters the sounds of the world through his own musical palette, crafting a singular artistic vision. Seating is limited, so if you're interested in attending, e-mail John Cantu as soon as possible. We hope to see you there! Want to introduce next year's entering Honors class to all the great things about Honors? Want to share your experience with prospective Honors students and parents? Want to work on a great team of other Honors students? Apply to work as an Honors Peer Advisor for summer Orientation! We need up to 8 Honors students for our team of academic peer advisors for Summer Orientation. We are looking for lively Honors students who can describe the Program, answer questions, and talk honestly in positive terms about their experience in here at Michigan. We need people who can work in groups or take individual initiative. Peer advisors help with backpack & registration, give group presentations on Honors courses, talk individually with incoming students, and organize and lead extra activities. This is easily combinable with other summer projects in Ann Arbor (lab or library research, some classes, some other part-time jobs). How to apply? Come to a group meeting on Thursday, 2/7/2008, 4-5 pm. Honors Lounge, 1330 Mason Hall. Can't make the group meeting? Email Donna Wessel Walker. Give your full name, UMID, year, concentration (if any). Tell me what would make you a great peer advisor and what your favorite movie is (yes, of all time). DEADLINE for email application: Thursday, 2/7/08, 5 PM. At noon this Thursday, January 24 in the Honors Lounge (1330 Mason Hall), we will be welcoming Dr. Chuck Freilich, who will be speaking on Israeli-American relations. He was Israel's Deputy National Security Adviser for Foreign Affairs. Now a Senior Fellow at the Belfer Center's International Security Program, his primary areas of expertise are U.S. Middle East policy and Israeli national security policy. He is currently writing a book on Israeli national security decision-making processes and teaches Political Science at Tel Aviv and Hebrew Universities. He also co-directs a Middle Eastern affairs consultancy. 1. “Where have all the Frogs Gone? Global Amphibian Extinction” a series of events with Matt Chatfield, Ph.D. candidate in Ecology and Evolutionary Biology. Why are amphibians declining and facing extinction around the world? What can be done about it? Come learn about the most recent research in this exciting environmental field in a series of events; you are welcome to attend one or all of these sessions, depending on space available. Wed, Jan 9, 7:00 pm - Dinner with Dr. Jockusch at a local restaurant. (limited to a few students, chosen from those who participate in the discussion and attend the lecture. Interested in the dinner? Email Matthew Chatfield (mattchat@umich.edu) with your name, year, concentration and why you would like to have dinner with Dr. Jockusch. Dinner likely to be at Seva. Build your own utopia! What does it take to create an ideal community? How would you do it? Who would you include? who would you exclude? Join Honors Fellow Corina Kessler for an exercise that is better than reality TV. Friday, Jan. 11, 12:00-1:30 Honors Lounge Lunch included. 12/2 I am writing this in the Chicago O'Hare Airport, waiting for a plane back to Detroit after a very successful celebration of Honors 50th Anniversary with Chicago alums, hosted by Rick and Judy Perlman, whose names you will no doubt know from their wonderful gift of the Perlman Honors Commons. Michigan faculty Don Cameron, Kathleen Channing, and Derek Collins were all there also, giving the alums a peep at the intellectual riches on offer at the University (and in the Honors Program) these days. Don Cameron spoke of his almost fifty-year experience with Great Books; Kathleen Channing presented a fascinating session on politics and memory, taking the German experience after WWII as example; and Derek Collins discussed magic in the ancient period. A fabulous event! This week we welcome Agnieszka Graff for Lunch With Honors on Thursday, December 6, at noon in the Honors Lounge (1330 Mason Hall). Agnieszka Graff teaches American studies and gender studies at the University of Warsaw. She will be discussing her work on new forms of intolerance in Europe. The author of A World Without Women: Gender in Polish Public Life (Warsaw: W.A.B., 2001), she is a regular contributor to Gazeta Wyborcza, Krytyka Polityczna, Res Publica Nowa, and many other Polish periodicals. She is also the translator of Virginia Wolff’s A Room of One’s Own and a leading figure in the Polish women’s movement. 11/25 With the start of registration, please note the course information detailed in the posts for 11/18: Winter 2008 Honors courses , courses that satisfy the Literature and Ideas Requirement, and note especially a set of new seminar-like courses that we call LSA Honors Initiative Courses. Amelia Templeton, "What to Do With the Iraqi Refugees?," Lunch With Honors, Thursday, noon, Honors Lounge (1330 Mason). Templeton is a free-lance journalist in the Middle East, and has reported for Marketplace Radio, NPR, and "60 Minutes". Michael Aylard, Honors Fellow and Ph.D. student in Economics, will host a presentation and discussion on the subject of the mathematical and philosophical concept of infinity on Thursday from 5:30 to 7:30 in the Perlman Commons with dinner catered by Zingerman's. 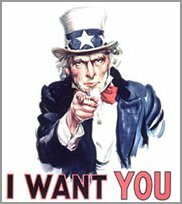 11/18 Registration starts soon so: Winter 2008 Honors courses are now listed on our web pages, as are courses that satisfy the Literature and Ideas Requirement. What I really want to draw your attention to is a set of new seminar-like courses that we call LSA Honors Initiative Courses. You can find full details on the linked page, but here is the lineup. You will really want to check these courses out!! 11/13 Sorry, I was too bummed by the loss to Wisconsin to add an entry Sunday night. So I've got to make up for lost time. This afternoon , Tamar Carroll met with about 25 or so students who analyzed media portrayals of the War on Drugs by watching and discussing some episodes of The Wire. And this Thursday at noon in the Honors Lounge in 1330 Mason Hall, Dr. Michael Turner, Bruce & Diana Rauner Distinguished Service Professor in Astronomy & Astrophysics at the University of Chicago, will join us for Lunch With Honors. Dr. Turner's research focuses on the application of modern ideas in elementary particle theory to cosmology and astrophysics. He is a member of the National Academy of Sciences and a leading proponent of the theory of the origin of the universe known as the "Cold Dark Matter Theory." Registration for next semester is just around the corner. Winter 2008 Honors courses are now listed on our web pages, as are courses that satisfy the Literature and Ideas Requirement. What I really want to draw your attention to is a set of new seminar-like courses that we call LSA Honors Initiative Courses. You can find full details on the linked page, but here is the lineup. You will really want to check these courses out!! I spent earlier Saturday at the Symposium for this year's Tanner Lecture, which was delivered by Brian Skyrms. Professor Skyrms gave about 60 to 70 of us at Thursday's Lunch With Honors a fascinating glimpse of the way in which evolutionary game theory can explain the existence of "signaling systems" pretty much ex nihilo. I hope a lot of you were able to make the Lecture on Friday. This week, Honors Fellow, Andrea Benjamin, of Political Science, will be doing a Fellows' event on electoral politics on Friday, at 1 pm in the Honors Lounge. Stay tuned. 10/28 I hope you were able to make Prof. H. D. Cameron's 50th Anniversary, Parents' Weekend Lecture: "A Great Books Sample." It was a truly wonderful occasion, especially for those of us who don't have the privilege of getting to attend his lectures in Great Books 191 and 192. And meeting so many parents at the reception was both fun and gratifying. It is very nice to know that their sons and daughters are having so much fun in the Program. This week, we have two big events coming up, on the same day, actually. Lunch With Honors with Brian Skyrms, a world-famous philosopher, who is best known for his work on the evolution of cooperation, norms, and "social contracts." Professor Skyrms will be with us in the Honors Lounge, 1330 Mason Hall, on Thursday, November 1, at noon. Nicholas Bowman, Honors Fellow in Psychology, will host a discussion of college rankings, admissions, etc: “The Rankings we Love to Hate: a Hands-on exploration of College Rankings,” Thursday, November 1, 6-8 p.m, Perlman Seminar Room. 10/21 This year is the 50th Anniversary of the LSA Honors Program! As part of the celebration, and as part also of Parents' Weekend, Professor H. Don Cameron will give a lecture titled "Great Lectures." Professor Cameron's Great Books courses have been an important part of the Honors experience for generations of LSA Honors students, so this should be a wonderful way to celebrate the 50th. Please join us Friday at 4 pm in Angell Hall Auditorium B. 10/20 I hope everyone had a great break and rest of the week. I spent the week giving some lectures at Nanjing Normal University in China. If you want to see some photos from Steve's Excellent Chinese Adventure, go here. Ann Stevenson, the distinguished British poet, and alumna of the University of Michigan, Monday, October 8, at noon. Ken Buckfire, Co-Founder and Managing Director of the Wall Street consulting firm, Miller Buckfire, who was an Honors graduate in Economics and Philosophy, Wednesday, October 10, at noon. Gheorghe Ciuhandu, Mayor of Timisuora, Romania, site of the 1989 uprising that led to the overthrow of Ceausescu, Friday, October 12, at noon. 9/30 What an amazing Lunch With Honors with Arthur Greene! A student asked Professor Greene how he had found his way to his career in piano performance and teaching, and, after a moment's reflection in which his eyes seemed to say, "should I really go into this?," he launched into the most amazing tale: growing up on the Lower East Side of New York to radically left parents who saw music as frivolous but who got him lessons with an amazing woman who lived across the street with two Steinways and who "dressed nobly," but then leaving New York at age ten to move to a tiny town in Massachusetts, which had little music, and battling depression through high school. While an undergrad at Yale, Greene rediscovered the piano and through practicing "like a madman" he got into Julliard, and the rest, as they say, is history. All in all, it was a quite incredible hour. I know everyone who went will always remember it. Like many students in the audience, I went to hear Greene's Rachmaninoff's Second on Saturday--it was superb. On Thursday, October 4, at 7 pm in the Exhibit Museum, Honors Fellow John Speth will host an event that will give Honors students a special look at the Anthropology Museum. Here's what Professor Speth says about the event: "Ever wonder what our early human ancestors looked like 2 million years ago? How we know they walked on their hind legs when what we find is mostly teeth and parts of jaws and skulls? Any idea what the first humanly made tools look like? Ever seen a Neanderthal up close and personal? Want to know how archaeologists figure out when people first domesticated plants like corn and began to farm? Ever seen an atlatl, the weapon that came before the bow and arrow? Come to the Museum of Anthropology at 7 PM on Thursday, October 4 for a behind-the-scenes look at what archaeologists do. Specifically, on the 4th Floor of the Ruthven Natural Science Museum. Since the Ruthven Building officially closes at 5:00 PM, we’ll meet at the front door of the museum (where the two black panther statues are)." Then next Sunday, October 7 from 1-2 PM, Honors will be sponsoring an Eco-Honors on the Huron River canoe trip. In addition to the canoe trip itself, the "Eco" part comes in because participants will be expected to help by cleaning up any waste that might be found on the river during the trip. In return, it is free of charge. The event will also conclude with a pizza party! If you're interested in participating, please contact Honors RA Michael Adler. 9/23 We had a great time with James Kynge last Tuesday. The discussion was incredibly lively, about as good as any I can remember. One quite powerful point that came out, for me anyway, was the way in which U.S. (and world) economic prosperity over the last fifteen or so years has depended on low interest and inflation rates made possible by the substitution of Chinese-produced goods for more expensive ones. In effect, China has been "exporting deflation." However, just this year prices, including of labor, have begun to rise in China, and Kynge worries that China may begin to "export inflation" with upward pressure on interest rates and dampening economies globally, including, of course, in the U.S. This Wednesday, September 26, at noon in the Honors Lounge, we will have Lunch with Honors with the world-famous pianist Arthur Greene, Professor of Piano in the University of Michigan School of Music. Professor Greene will also be playing Rachmaninoff's Second Piano Concerto in an Ann Arbor Symphony Orchestra concert this coming Saturday night, at 8 pm in Hill Auditorium, to which ten lucky Honors students will get to go. 9/16 Last week was kind of quiet in the Honors Program as students were busy with the beginning of term, meeting with advisors, and so on. This week, Honors events start off with a bang. 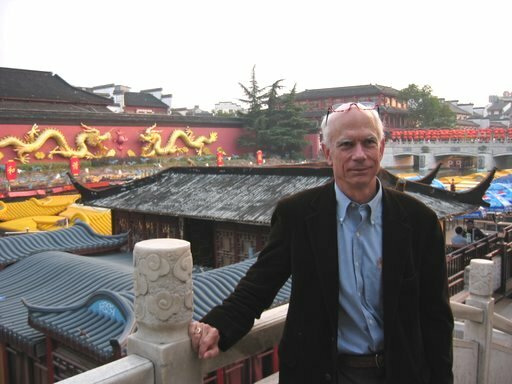 Brunch with Honors, Tuesday, September 18, at 10:30 am: James Kynge, author of China Shakes the World. Kynge will also be giving a talk later that day (Tuesday) at 4:30 pm in the Power Center. We are hoping for a large Honors presence there also. On Wednesday, September 26, we will have a Lunch with Honors with the world-famous pianist Arthur Greene, Professor of Piano in the University of Michigan School of Music. A wonderfully talented and extraordinarily interesting performer, Greene is especially noted for his serial performances of the classical piano repertoire. He has performed the complete solo piano works of Brahms in Boston, the 10 sonata cycle of Scriabin in Sofia, Kiev, and Salt Lake City, and last year he and his Michigan students performed the complete solo piano works of Chopin in eight concerts during this past March and April. This should be a quite amazing treat. We had an enormous response for tickets to see Terry Gross (of NPR's Fresh Air) at the Michigan Theatre on Friday, September 28, so we will be making it possible for ten to twenty Honors students to go. Finally, a heads up: this fall marks the 50th Anniversary of the founding of the LSA Honors Program in the Fall of 1957. We will be celebrating throughout this year, and perhaps into next fall, in all sorts of ways. Stay tuned. 9/3 Welcome back, everyone! Although I haven't been writing anything in this space for five months (! ), we were busy all summer with Orientation for all entering students. In more than the obvious ways, it is my favorite time of year, since I get to meet with all our incoming students in small groups and really talk. You'd be surprised how much it helps me remember everyone. Last Friday (before gloomy Saturday, we needn't talk about that), we had a very successful Honors Kickoff. Many thanks to Shuen-fu Lin, Twila Tardif, and David Porter, who gave such interesting perspectives on the issues raised by James Kynge's China Shakes the World. Among other fascinating points, Twila Tardif pointed out that although 30% of all Chinese adolescents and almost all students are learning English, only 0.06% of American students are learning Chinese. There's no time like the present to start though, since this is LSA's theme year on China: ChinaNow. I also want to encourage all Honors students to think about applying for the Winter 2008 Honors in Beijing. Stay tuned for announcement of information sessions for both Honors in Florence and Honors in Beijing. Our first big event will be a special Brunch With Honors with James Kynge on Tuesday, September 18, at 10:30 am in the Honors Lounge, 1330 Mason Hall. This will be a wonderful opportunity to meet and talk with the author himself and ask the questions that occurred to you as you read the book. Kynge will also give a talk the next day, and there will be a reception afterwards. 4/8 Before my weekly update of goings-on in the Program, I want to let you know about an exciting development at the Honors website. Jessie Grieser of our staff has put together a set of web pages with oodles of useful information for Invited Students that is designed both to help prospective students decide whether to come to Michigan and the Honors Program and, if they do, how to navigate the confusing array of housing applications, orientation, the Honors Book, etc., etc. Congratulations and many thanks to Jessie for doing such a great job. Last week's highlight was President Mary Sue Coleman's Lunch With Honors. It was a free and easy conversation with the person charged with presiding over one of the great universities in the world, and it didn't disappoint. I personally found it pretty inspiring to hear President Coleman speak from the heart about the values that make this such a special place. This week will be the lull before the storm with registration continuing as we get ready for next week's end of classes and beginning of exams. It's hard to believe that graduation is less than three weeks away. Next week we will have a couple of important events to finish up the year. Monday, Honors alumnus Kenneth Buckfire will be here for a Lunch With Honors. Ken Buckfire is Co-Founder and Managing Director of the Wall Street consulting firm, Miller Buckfire. Through his generosity, four Honors students--Matthew Coleman, Elissa Dickson, Franco Muzzio, and Pete Troyan--will be able to extend their studies at the University of Michigan next year as Buckfire Fifth-Year Scholars. Finally, we will celebrate the end of classes next week with a gathering on Wednesday, April 18, at 4 pm in the Honors Lounge that will feature Justin Wedes's klezmer band. If you 't know klezmer, you know why you will want to be there--and if you don't, well, trust me. See you next Wednesday!! the Polish border with Lithuania. I was unable to be there, but I heard it was very interesting. 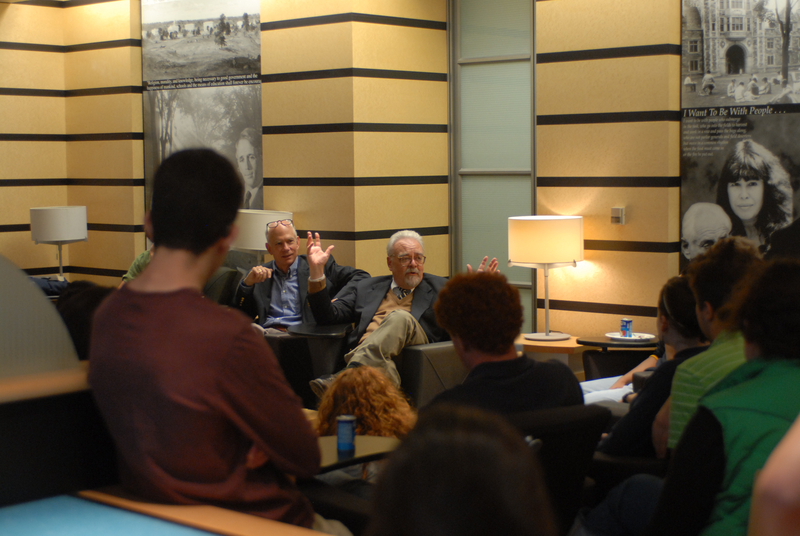 Many people came for last Thursday's Fresh Ideas on graduate study in the liberal arts. It was a very interesting discussion that ranged broadly. Bottom line: if you have been discouraged from thinking about graduate school because the academic job market has been so grim, think again. Things are changing--by the time you folks get your Ph.D.'s there will be lots of jobs. Just remember, you heard it here first. Tuesday we will be honored to have UM President Mary Sue Coleman with us for Lunch With Honors. That's right! Mary Sue will be in the House! Q: What Does a President of the greatest university in the world talk about? A: Anything she wants to! See you there if you are lucky enough to get a seat. Also registration starts in earnest this week. You can find a list of Honors Courses for Fall 2007 (with links to the LSA Course Guide!!) here. 3/25 We had an unbelievably awesome Lunch With Honors with Bob Mankoff this past Friday. I don't think I've laughed that hard in a long time. Here's an example that Bob gave of a cartoon that is funny (though not, perhaps aesthetically elegant). A Tony Soprano type is with his henchman and says: "If these walls had ears, and knew what was good for them, they'd shut the f*ck up." He had a million of them. Another very funny story: David Mamet, the famous playwright sends Mankoff a letter saying that he is "taking the liberty of sending along several cartoons" that he had done. In his thank you note, Mankoff includes a PS: "I am taking you the liberty of including a play of mine . . . ." If you want to see the would-have-been-Syracuse basketball star hit 10 "jump" shots in a row, check out this YouTube video. On Thursday of this week, I will host a Fresh Ideas session on graduate study in the liberal arts. It is my impression that many Honors students know a lot more about medical and law school, for example, than they do about a graduate school. There are good demographic reasons for this: it has been very difficult to get academic jobs over the last thirty years, so graduate schools have discouraged any but the most committed from applying. There are, however, fundamental demographic changes going on. With contemplated retirements over the next ten years, there should be a lot more academic jobs opening up. So now is the time to think about what you would have to do to position yourself for what I consider the best life in the world: getting paid to think, read, write, and talk about what you are really interested in. If that sounds good to you, join me in the Perlman Honors Commons Thursday, March 29, at 4 pm. 3/19 Big doings this past Saturday as the First Annual Honors Paper Conference, sponsored by Honors Peer Mentors (known for the slogan: "Be Smarter; Live Longer") was held in the morning and the Phi Beta Kappa Induction Ceremony was held in the afternoon. Congratulations to the presenters at the conference, which I thought was a great success, and to the new PBK initiates. May you may only gain in smarts and live long! Next Thursday, at 4 pm in the Perlman Honors Commons, I will host a Fresh Ideas session on opportunities for graduate study in the liberal arts. In my experience, students tend to know a lot more about medical school and law school than they do about graduate school. Unbelievable as it may seem, you can actually get paid to do graduate study (and not rack up mounds of debt!). Moreover, there is, in my view, simply no better life than that of a professor. I still can get over the fact that I get paid to read, think, talk, and write about what I am really interested in. What could be better than that? For many years, we have discouraged all but the most passionate and committed students, because the job market was so grim, but that will be changing substantially within the next decade. Come to Fresh Ideas next Thursday to find out why and to find out how to position yourself to think seriously and possibly take advantage of these emerging opportunities. 3/12 We had two very successful Lunch With Honors last week with Dr. Michael Stein and Allen Buchanan. Thanks very much to all who came. This week's highlight is the First Honors Paper Conference, being put on by the Honors Peer Mentors, which is being put on this coming Saturday, March 17, in the Perlman Honors Commons from 9 am to 1 pm. The topic will be "What It Means to be Human." This should be a fascinating set of presentations and discussions. Please come for as much as you can. Also this Wednesday at noon in the Dining Room of the South Quad Cafeteria, there will be an Honors Roundtable for anyone who wants to come and share lunch and interesting conversation. See y'all there. 3/04 I hope everyone had a great break! I was on the road doing various philosophy gigs. We have two great Lunch With Honors coming up this week. Monday, March 5, noon, 1330 Mason Hall: Dr. Michael Stein, Professor of Medicine, Brown University, and author of The Lonely Patient. Dr. Stein will discuss his new book, which deals with the experiences of both chronic and terminally ill patients, and the special problems involved in treating them. On February 6, Dr. Stein was also the guest on National Public Radio's "Fresh Air," . As a medical doctor himself, Dr. Stein was confronted with having to treat his own brother-in-law as he was dying, and discovered that his advanced medical training did not prepare him for dealing with the issues involved in offering him consolation when it was most needed. This led Dr. Stein to begin investigating the psychological impact of illness on such patients, and how medical professionals might better learn to serve their unique needs. Professor Buchanan, who is one of the foremost bioethicists and writers on a wider range of ethical issues, including in the international realm (secession and international law will discuss the ethics of biotechnology and human development. 2/18 What a difference a couple of weeks makes. It's only 11 degrees out now, but it was sunny for my run on the sunny Potawotami trail this afternoon--Glorious! And it's going to be much warmer tomorrow, which means that the pipes going to our washing machine will thaw, and we will be able to wash clothes again. To go through winter in Michigan is to be thankful for little pleasures. Since next week will be break, I want to give everyone a heads up now about an upcoming "Lunch with Honors" on Monday, March 5, with Michael Stein, a very interesting physician who is the author of The Lonely Patient: How We Experience Illness. This should be really fascinating--usual time and place: noon in the Honors Lounge in 1330 Mason Hall. 2/4/07 It is 4 degrees out after a low last night of -4 or so, but at least the wind has died down a little from yesterday. It was quite an experience running along the Huron yesterday afternoon--fine, unless you were going west. Facing a long uphill climb back home (going, you guessed it, west), I finally bailed out and called my son on my cell phone to come pick me up. Thank God for cell phones, and thanks Will for picking me up. Last week's discussion on immigration policy and practice post 9/11, hosted by Honors Fellow Nadine Naber on Tuesday night in the Perlman Honors Commons was a great success. Tomorrow, Honors Fellow Catherine Squires, of Communication Studies will be hosting a lunch discussion as part of an all-day event, featuring Dr. Daniel Brouwer of Arizona State University, co-sponsored by Honors and the Lesbian Gay Queer Research Initiative: "Making Sense of 'God Hates Fags' and 'Thank God for 9/11': Milbloggers' Responses to Anti-Gay Protests at Military Funerals." Dr. Brouwer's work focuses on the rhetoric of HIV/AIDS, queer publics, performance and social protest. Monday, he will be concerned with anti-gay protests conducted since June 2005 by the Reverend Fred Phelps and the Westboro Baptist Church at funerals of U.S. military personnel killed in Iraq and Afghanistan. Then, on Thursday, February 8, from 5 until 7 PM in the seminar room of the Perlman Honors Commons, Honors Fellow Vadim Jigoulov of Near Eastern Studies a will be conducting an informal discussion of a book by a leading Israeli archaeologist, I. Finkelstein, and Neil Asher Silberman, David and Solomon: In Search of the Bible's Sacred Kings and the Roots of the Western Tradition (2006). As a creative and somewhat controversial interpretation of archaeological remains and biblical texts, the book raises important questions regarding the messianic tradition in Jewish and Christian thought, the historicity of biblical accounts, and, ultimately, about the two foundational figures in Western culture, David and Solomon. 1/28/07 AAAARGH! My internet connection went out on me this evening (the vulnerabilities of modern life), so here I am in my office doing my weekly gig. I saw some LSA Honors students at the South Asian Awareness Network 2007 Conference at the Michigan Union on Saturday. I was giving a talk on connections, or lack of them, between doing right and doing well, if I can put it that way. It was a good group and a lot of fun. Actually, it was kind of unclear whether I was going to make it. My session was scheduled for 2:30, and at 2:15, I was near Ypsilanti in a limo on I-94. I was coming back from a talk at the University of Toronto Law School on Friday, and got caught in weather delays (mostly an interminably long line for de-icing) at the Toronto airport. Everything worked out well. I gather from John Cantu, who I ran into on an Ann Arbor bus going home after the SAAN Conference, that Yang Wei's Lunch With Honors was a big hit. Over 40 got to hear the pipa master and many stayed after to chat. This Tuesday, we have a very interesting event on immigration sponsored by Honors Fellow, Nadine Naber. Professor Naber will present a panel discussion on "Immigrant Policies, Post 9/11." The participants will include Noel Saleh (ACLU attorney and president of ACCESS/Arab Community Center for Economic and Social Services); Nazih Hassan (President, Muslim Community Association of Ann Arbor); and Professor Naber herself (Assistant Professor of Women's Studies and American Culture at the University of Michigan). Snacks will also be served. Seating for this event is limited, so those students who are interested in attending should contact Mrs. Liina Wallin in order to reserve a space as soon as possible. 1/21/07 Gabrielle Civil's Lunch With Honors was quite an event--challenging, stimulating, wonderfully engaging, and thought-provoking. This Friday, we are in for another treat: Yang Wei, master of the pipa, a Chinese stringed instrument, will be joining us in the Honors Lounge (1306 Mason Hall) for another Lunch with Honors. Born in China in 1960, Yang Wei began studying various Chinese instruments at age 6 before concentrating at 13 on the pipa, a pear-shaped, four-stringed lute-like instrument that Chinese musicians have played for more than 2,000 years. This should be a really extraordinary and fascinating event. Don't miss it! 1/7/07 Another term is underway. I hope everyone had a great break--mine was pretty quiet, enjoying family, not enjoying the Rose Bowl, etc. You know, the usual. There are a number of news items to begin the semester. First, we have two upcoming events, a Lunch With Honors with UM LSA Honors grad, Gabrielle Civil, on Tuesday, January 16, and an Honors Fellow event on Thursday, January 18, with Silvia Pedraza. Our first Lunch with Honors of the semester will be with performance artist Gabrielle Civil (see profile in the 2004 Honors Forum) on Tuesday, January 16 at noon until approximately 1:30 PM in the Honors Lounge (1306 Mason Hall). Gabrielle is currently an Assistant Professor of English at the College of St. Catherine in Saint Paul, Minnesota, as well as a performance artist. She graduated from the Honors Program in 1995 with dual Honors concentrations in English and Comparative Literature. She defines her artistic sensibilities as being "at the intersection of poetry, installation and conceptual art." For her "Lunch with Honors" event, Gabrielle will be giving a presentation which she calls "Brown Skin, Brown Bag," focusing on race, performance and her experiences as a black woman in the academy..
On Thursday, January 18 from 6 until 10 PM, Honors Fellow Silvia Pedraza will take a group of students to see the play “Language Lessons” by Joseph Zettelmaier at the Performance Network here in Ann Arbor. A world premiere from the author of “The Stillness Between Breaths” (Winner, Best New Play 2005, the Oakland Press). What can we learn from strangers? How do we bridge any gap, whether between cultures, perspectives, or even between the past and our memory of it? A touching story about a Russian ballerina who arrives on tour to stay in the guest house of an American diplomat. “Language Lessons” bubbles with Zettelmaier’s knack for creating unique characters and exploring life’s deeper meaning with humor and compassion. Through a generous gift from Honors alumnus Kenneth Buckfire, Co-Founder and Managing Director of the Wall Street consulting firm, Miller Buckfire, we will be able to make available a fantastic scholarship opportunity for fifth year study (for next year) for Honors students at the University of Michigan. Details are yet to be worked out, but since we will be formally announcing a competition for the first scholarships for next year soon, I wanted to let you know in advance. Michigan. There are various possible models, for example, someone who would seriously consider graduate school in an academic discipline, but, perhaps because he or she has come to the subject too late, has not yet put together the kind of record that would make him or her most attractive to top programs. Such a person might take a fifth year here, perhaps getting an M.A., but putting him or herself into a position to get into a top Ph.D. program elsewhere. Or perhaps someone is already involved in a dual degree program here that would be enhanced by a fifth year of study. Or a double concentration. education here and be better positioned for future study or work. 12/10/06 Another long hiatus with the end of term. I just got back from a conference on my book in London , and I'm ready for the end of term push. We're now in the midst of freshman registration. Please note the list of Honors courses , including Honors 135, Lit & Ideas courses, and special Honors-sponsored seminars and courses. Yesterday (Saturday) afternoon was the Honors Talent Show. I'm sure it was wonderful; I really hated having to miss it. This Wednesday from 2 to 6 pm will be the "Classes are Over", Pre-Exam Open House in the Honors Lounge in 1330 Mason Hall. Back by popular demand for the second year, will be Professor Ruth Scodel, of Class Civ 101 fame, who will be teaching English Country Dance along with live music. If you didn't get a chance to do this last year, don't miss it this time. It's really a lot of fun. See you there! 11/26/06 A long hiatus in anticipation of the Thanksgiving weekend. I hope everyone had a great time. It is hard to believe that we only have a few weeks left in the term. What's more, registration for the Winter 2007 semester is about to start. You can find a full listing of Honors Courses and courses that satisfy the Literature and Ideas requirement here. This week, Honors Fellow, Sayan Bhattacharyya will be leading a panel discussion on the University of Michigan's role in Global Citizenship. It will take place on Thursday, November 30 from 5 until 7 PM in the Perlman Honors Commons and a pizza dinner will be provided. 11/13/06 We had a very interesting discussion today at Lunch With Honors with David Kostelanncik about his work in the State Department in pursuing diplomatic engagement with countries in Europe. Pretty fascinating stuff. And last week's LWH with Steve Marmion of the Royal Shakespeare Company was also an outstanding success, as was Medha Tare's Honors Fellow's session on child language learning. Big news this week is Tuesday night's "Honors Ethics Pizza Dinner Theater" at 6 pm in the Honors Lounge. Should be fun. Also, we should have an announcement of some very good news soon coming out the Marshall and Rhodes Scholarships competition. Stay tuned!! 11/5/06 Congrats to Chris Melenovsky, who won the free copy of The Second-Person Standpoint at my book party last week, and thanks to everyone who came! The next day we had a fascinating session on international law and business with Javier Rubinstein. Javier's advice to students: study languages and learn other cultures. He gave a wonderful example of how international dispute resolution is almost always about miscommunication because people interpret events and laws through the prism of their own culture: German and Swedish aeronautical companies disagreeing about the meaning of the Swedish response of 'OK' to a German message asking the Swedes to make a change. Germans: 'OK' = "we agree"; Swedes: 'OK' = "we hear you." More doings this week. Steve Marmion , Assistant Director of the Royal Shakespeare Company, will be with us on Friday at noon, for a Lunch With Honors. Lots going on next week also. On Monday at noon, we will have David Kostelancik, current Deputy Director of the State Department's Office of North Central Europe, Bureau of European and Eurasian Affairs for another Lunch With Honors. Then on Tuesday, at 6 pm, also in the Honors Lounge, we will have, in effect, a "Ethics Dinner Theater" (with pizza), when some actors, sponsored by the President's Ethics in Public Life Initiative and the Office of New Student Programs will present a series of vignettes that raise ethical issues that students face, followed by discussion. Gosh, who ever thought (besides an old philosopher!) that ethics can actually be fun?! 10/30/06 Last week's Lunch with Honors with Aleksander Kwasniewski was absolutely amazing--over eighty people packed in and riveted. It is hard to imagine a wittier, more engaging, and more humane and insightful human being than the former President of Poland. Also last week was Leanne Powner's Fellow's session on polling research and the upcoming election. Much happening this week also. Wednesday evening features Medha Tare's Fellow's session on early childhood language learning. Then, on Thursday at 4pm, an absolutely unofficial Honors event: a book launch party for my new book, The Second-Person Standpoint, at Shaman Drum Bookshop. Any undergraduates who come can enter a drawing for a free copy. If enough come, we may even have more, maybe something on the order of W. C. Fields's old joke: 1st prize, one week in Philadelphia; 2nd prize, two weeks in Philadelpia (get it? 2nd prize: 2 copies). Then on Friday, we will have Lunch With Honors, this time with Javier Rubinstein, who has just been named Global General Counsel for PriceWaterhouseCoopers. An LSA Honors grad, Rubinstein has created a fascinating career for himself in international business and law. In addition to talking about his own experience, he will discuss some very interesting political and economic questions that are arising on the international scence. 10/22/06 Sorry, I lost a week there with the Fall Break. We had an abbreviated week, but Friday featured the return of David Enders to give a presentation on Friday of Parents' Weekend: "What I learned at Michigan, and What I Didn't." This week features an Honors Roundtable in South Quad at noon on Wednesday and then a Lunch with Honors on Friday at noon with Aleksander Kwasniewski, who was President of Poland from 1995 to 2005. This should be an absolutely fascinating occasion. President Kwasniewski is here to deliver the Copernicus Lecture, "Democratic Revolutions, International Conflict, and Global Citizenship," on Wednesday at 7:30 pm in Rackham Auditorium. See you there! 10/8/06 How Sweet It Is. I was with my son, Julian , at Connolly's, an Irish bar on 47th Street in New York on Saturday afternoon, as we watched the Tigers destroy the Bronx Bombers (if that's what they should now be called) and win a place in the American League Championship Series. CONSIDER THIS: in the fourth inning of the second game, after the Yanks beat the Tigers handily in the first game 8-4, Johnny Damon crushed an upper-deck three-run homer off Justin Verlander to give the Yankees a 3-1 lead and a big leg up on a two-game lead in the series. AND THEN THE BEST LINEUP MONEY CAN BUY DID NOT SCORE FOR TWENTY (20) MORE INNINGS. That is simply unheard of. I've just been finding myself laughing at the utter improbability (impossibility?) of the whole thing at odd moments over the last few days. I experienced the '84 Tigers (our first summer in Ann Arbor), and early championships with my favorite Pittsburgh Pirates in '71 and '79, but this might become something else again. This week's Honors Highlight is a Fresh Ideas session with Professor Michael LeRoy of the University of Illinois Institute on Labor and Industrial Relations. Professor LeRoy will be talking about issues concerning compulsory national service: "Compulsory Labor in a National Emergency: Public Service or Involuntary Servitude, the Case of Crippled Ports." 10/3/06 OK, here are the lucky winners and categories of the 2006 LSA Honors Program Annual Summer Post Card Contest. Congratulations to the Winners!! Monica Sendor, "Most Read Red"
Sarah Na, "Closest to Home"
10/3/06 RESULTS OF SUMMER POST CARD CONTEST TO BE POSTED THIS EVENING. STAY TUNED!!!!! 10/1/06 Believe it or not, I'm writing this from London, where I was attending and giving a talk at a conference on the History of the Transcendental Turn (in Philosophy)--great conference and London is amazing as always (and amazingly expensive). A number of us simply couldn't figure out how students can afford to live there. Anyway, this week in Honors will feature the second half of Annie Hesp's two sessions on Camino Santiago (this time the walk in the Arb on Tuesday at 4 pm). Some other coming attractions: next Thursday, October 12, at 4 pm Michael LeRoy of the University of Illinois Institute on Labor and Industrial Relations will join me in the Perlman Honors Commons for a Fresh Ideas session on whether and under what circumstances the government can properly force people to work. This should be a fascinating discussion of issues about labor, the economy, and the state, that we should be talking more about. Then the following Friday, October 20, at 4 pm, David Enders, author of Baghdad Bulletin, who was with us during Honors Kickoff, will return to Ann Arbor for a talk on Parents' Day. Should be really interesting--stay tuned. 9/24/06 Two terrific events coming up that will be hosted by one of our Honors Fellows, Annie Hesp, who is a Ph.D. student in Romance Languages. Annie studies a fascinating medieval pilgrimage in Northern Spain--Camino Santiago (St. James' Way). Join her this Tuesday, September 26 at 4 pm in the Perlman Honors Commons and the following Tuesday, October 4 at 4 pm in the Arboretum as she gives us a window on this remarkable phenomenon. Last week's Fresh Ideas with Professor Don Cameron was simply a delight. Professor was at the top of his form, as is evidenced in the photo below, and the many students who attended (maybe as many as 50 altogether) simply couldn't get enough. 9/17/06 We had a good set of events last week and will this week also. But first, let me tell you a very little known fact that I learned two days ago when I was in Lubbock, Texas, to give a couple of talks at Texas Tech University. Lubbock may seem like the end of the earth, but it's actually pretty interesting and has, believe it or not, a growing wine industry. The fact, which I'll bet you didn't know, is that Texas actually saved the French wine industry in the late nineteenth century. You can read all about it here. Now to this week's events. Tuesday at 4 pm in the Perlman Honors Commons, Professor H. Don Cameron will join me in the first Fresh Ideas of the year. Professor Cameron has taught Great Books to generations of Michigan students. You won't want to miss this opportunity to get to know him "up close and personal," and learn how the boy who grew up in Saginaw came to be one of Michigan's most storied professors. Wednesday at 12:10 in the South Quad Dining Hall, join me for lunch. This will be a chance for me to get to know some of our students better and for you to get to know me. If you want to know what I've been up to lately, you can find out here. Hope to see you there! 9/10/06 Well, like the President and the most recent former President, I passed the BIG 60 this past weekend. It seemed fine until all the cards I got seemed to striking the same note: it doesn't really matter if you're decrepit, because you're young at heart, or something like that. Who needs that?? Anyway, we've got some good stuff coming up this week. Prof. Edie Goldenberg of the Political Science Department will be joining us to discuss the The Michigan in Washington Program . Michigan in Washington offers an opportunity for 20-25 University of Michigan undergraduates from all majors to spend a semester (Fall or Winter) in Washington, D.C. The program provides a chance for students to combine coursework with field research in an internship that reflects each student's area of interest while earning academic credit. Tuesday, September 12, from 4 to 5:30 PM in the Honors Lounge (1306 Mason Hall) there will be a very important information session for these HONORS IN FLORENCE and HONORS IN BEIJING. HONORS IN BEIJING is a new program, which will begin during the WINTER 2007 semester. It is especially relevant for second- and third-year students. APPLICATIONS FOR HONORS IN BEIJING WILL BE DUE RELATIVELY SOON, so if you have any interest in this amazing opportunity, you will definitely want to come. HONORS IN FLORENCE is a one-month program that will be given again this coming May. This program is especially relevant for first-, second-, and third-year students. You can find further information here. APPLICATIONS FOR HONORS IN FLORENCE WILL ALSO BE DUE RELATIVELY SOON, so you will definitely want to come if you have any interest. 9/1/06 A year and a few days later I pick up pen (or put down fingers on keys) again to restart my Honors blog. I had a good year, but frankly missed the excitement and enthusiasm that swirls around the Honors Progam. It is good to be back. Today was our annual Honors Kickoff for entering freshmen. This is the third year that we have built morning activities around the "Honors Book." This year it was David Enders' Baghdad Bulletin. David Enders is a 24-year-old UM grad who was Editor of the Michigan Daily and who, during his last semester at the University, went to Lebanon in January of 2003 to study abroad, but decided with war beginning in Iraq, to go to Baghdad and start up an English-language newspaper called, you got it, The Baghdad Bulletin. The paper lasted several months through the spring and summer of 2003, until things got too hairy with the increasing resistance and insurgency and the funding ran dry. The book provides a very personal and insightful window on the lives of ordinary Iraqis and a quite amazing cast of characters, who were in Iraq during that period. Although the paper stopped publishing on September 15, 2003, there is a fascinating web archive here. We were very lucky to have David Enders with us in addition to two members of the UM faculty, Paul Courant, professor of economics and former provost of the University and Elizabeth Anderson, professor of philosophy and womens' studies, to help frame our discussion of the book in break-out groups. Both asked fascinating questions. Courant was curious to know what well-intentioned Americans who went to Iraq out of principle and are there now really think of the situation on the ground and the prospects. Anderson drew a remarkable parallel with the aftermath of the French revolution, as discussed in Simon Schama's Citizens. Specifically, Robespierre early opposed the "liberation" of Belgium as a forceful extension of the Revolution, on the grounds that human beings universally resist invasion by "missionary armies." Later, when he himself came to power, however, Robespierre reversed his position, with tragic results. All in all, the morning was an occasion for reflection on Baghdad Bulletin and on what obligations we have now in Iraq both as a country and as individuals. Afterwards, the mood lightened considerably--with lunch in the Michigan League Ballroom and a performance by "RAs in Black"--Jo (jo) White (not in black) and his South Quad colleague RAs (who were in black). The shtick set up the annual scavenger hunt, which was as wacky as ever. We all met back in the Michigan League Ballroom for prizes and for book-signings. A really wonderful day. 8/28/05 GONE FISHING!!! I'm on leave the for the year, finishing one book (on what I call "The Second-Person Standpoint") and starting another one (on the history of ethics from the seventeenth-century on). David Porter will be Acting Director during 2005-2006. Read all about it here. Have a great year! 4/3/05 Last week was a wonderful first Gleick-week, both the Lecture and Lunch With Honors. This Wednesday at 4 pm in the Perlman Honors Commons, James Gleick will join me for a special Fresh Ideas. The topic will be the Internet, about which Gleick has thought a lot, and which is centrally involved in his new book on information. For example, here's a (relatively) recent article written for the New York Times Magazine, called "Get Out of My Namespace." In the early 1990s, Gleick founded The Pipeline Network Inc., an innovative Manhattan-based online service that offered a direct connection to the Internet. Its seamless, painless interface was complete with what may have been the first World Wide Web browser requiring only a modem. You can read all about it in an interview with Gleick here . If you were able to catch Gleick's lecture or LWH last week, you already know what an amazingly interesting person he is. Given his experiences, it will be especially fascinating to hear him on this topic. James Gleick De Roy Lecture "Relatively Absolute (and Vice Versa)"
You are also invited to: Lunch With Honors with James Gleick Friday, April 1, noon, 1330 Mason Hall. Gleick's next book will be on information, information theory, the history of information, etc. Students who are taking the three-week mini-course, Honors 493 will be getting an advanced look. Let me know if you are interested in the course. 3/13/05 I am slowly bouncing back from surgery on my broken wrist this past Tuesday. I'm sorry not to be able to make Honors Roundtable last Wednesday, but we will be back with a group of first-year students this Wednesday at noon in South Quad. The biggest drag about my wrist, at least initially, was not being able to type. But now, no problem: I've discovered speech recognition software. It is absolutely unbelievable. 3/06/05 I hope everyone had a great break--I did, pretty literally. I broke my wrist in a ridiculous running accident in California. I'm a little hampered typing (one handed) for awhile, so I'll have to keep this short. We'll have a Fresh Ideas this Thursday in the Perlman Honors Commons with Finding Voice, a student group that focusses on issues concerning student mental health. I'll post more info later. 2/20/05 This is the last week before break, so we will be having something of a reduced schedule. There will be no Honors Roundtable this week, since I'll be on my way to the west coast to give a couple of talks. Monday will be a special edition of Fresh Ideas at 4 pm in the Perlman Honors Commons that will feature some ideas on empathy and respect that I will also be giving as a talk at Scripps College in California. Y'all come! 2/14/05 Happy V-day! We got the great news last week that Chris Hayward won a prestigious Churchill Scholarship to study physics at Cambridge University next year. Couple with Jacob Bourjaily's Marshall Scholarship (also to study physics at Cambridge), this gives LSA Honors two winners of the most selective national scholarships for study in Britain. Congratulations to Chris and Jacob! We had a great Honors Roundtable with Androni Henry's South Quad residents this last week. This week's Roundtable will feature Professor Theresa Lee, a biopsychologist who is also head of the undergraduate program in Psychology. Professor Lee's research concerns circadian rhythms and the fascinating effects of light on psychic and physiological phenomena. Dr. D (that's me: Steve Darwall aka "that nothing is subliminal kid") will be in the house--the Doctor will be making a house call. See a multi-media presentation that wowed them last May at the American Philosophical Association in Chicago (all right, "they" were all philosophers, and, ok, there were two media: voice plus video), under the title: "Respect and the Second-Person Standpoint" (check it out) Watch the Doctor operate as he gives nuggets from his future Scripps College talk "Empathy, Respect, and the Second-Person Standpoint," a title that U Living, a web journal in Southern Calfornia, says "sound[s] esoteric and intimidating." (check it out). Y'all come; you won't want to miss this! Among other things: a video clip of Aretha Franklin singing "Think" from The Blues Brothers, which demonstrates the role of the "second-person standpoint" in respect. 2/7/05 Two notable events this week: On Tuesday, February 8, at noon, Associate Dean of Students, Stephanie Pinder-Amaker joins us for Lunch with Honors. We'll have a wide-ranging coversation including mental health issues on campus and student life more generally. Then on Thursday, February 10, at 4 pm in the Perlman Honors Commons there will be a combined HSSC/Fresh Ideas meeting with Siobhan Ehle and Shyla Kinahl of Teach for America. Hope to see many of you at both events! 1/30/05 Sorry for missing last week. I was out of the country giving some talks in England, one at the University of Bristol, and another at Oxford as part of a symposium on my book, Welfare and Rational Care. Thanks to Donna Wessel Walker for sitting in for me in Fresh Ideas with John Carson when my plane to England got switched at the last minute. I heard it went great. Good stuff goin' on here last week also, including an Honors Student Steering Committee-organized meeting with Peace Corps representatives. This week we'll have Honors Roundtable as usual. Big stuff next week. On Tuesday, February 8, at noon, we'll have Associate Dean of Students, Stephanie Pinder-Amaker. And Thursday, February 10, will be a combined HSSC and Fresh Ideas with Siobhan Ehle and Shyla Kinahl of Teach For America. 1/16/05 Our two Lunch with Honors were big hits last week as Sam Shalabi and DJ Spooky were in the house. DJ Spooky drew an especially large crowd, which he kept enthralled with video and audio tracks (including a remix of Chuck D of Public Enemy) , fascinating observations, and gifts of CDs of his own mixes. Sam Shalabi was also fascinating with, among other things, a track from his CD Osama that integrated, of all things, a tap dancer. Both were very good stuff! This week we will have our first Honors Roundtable of the semester. Some first-year students have been especially invited but everyone is welcome. We will also have the first Fresh Ideas of the semester on Thursday, January 20, at 4 pm in the Pelman Honors Commons. Our guest will be Professor John Carson of our History Department. Professor Carson is an expert on the social construction of intelligence and has just completed a book on intelligence tests and the history of their use in the US. We are all of course familiar with the SAT and the ACT, but the history of these tests, their use by universities, and the meaning they have come to have in our society is incredibly interesting. I suspect that all of us have views and ideas about these tests and their use. I hope you will join us for what should be an extremely interesting discussion. 1/9/05 Big doings this week: the two Lunch with Honors highlighted just below. See you all there! 1/3/05 Happy New Year, Everyone! We're going to be starting off the new year with a bang, or rather with two big bangs. Next week we will have two quite amazingly creative young musician/artists with us for back-to-back Lunch with Honors on Wednesday and Thursday in the Honors Lounge, 1330 Mason Hall. Wednesday, 1/12, Osama "Sam" Shalabi, who was born in Libya and is currently a central node in Montreal's vibrant underground music seen, will join us. Shalabi is appearing in a University Musical Society concert Wednesday night: The Osama Project, which UMS describes as a kind of ‘concerto’ for oud and pre-recorded material,” which includes a musical collage involving narrative, text with various musical and non-musical layers, and oud. The basic theme of the performance is a projected story of an imaginary Arab and Jewish “dystopia,” a West Side Story projected into the future. Honors students can get reduced tickets to this performance for $10 by contacting John Cantu. Thursday, 1/13, we will have Paul D. Miller, a.k.a. DJ Spooky, That Subliminal Kid. (check him out at www.djspooky.com). Spooky (Miller) is here for a UMS performance on Friday night of his remix of D. W. Griffith's Birth of a Nation, titled, Rebirth of a Nation. He is an extremely creative conceptual artist and one of the most popular and influential DJs on the New York circuit. Madison Moore, an Honors student who is studying in Paris this year, says that Spooky's CDs are at the front of every City Disc and FNAC store in Europe. Clearly this guy bears a close look. You can hear some of his stuff on his website (above), hear an NPR interview here (you can also check out a clip of Rebirth of a Nation there). Again, Honors students can get reduced toickets to this performance for $10 by contacting John Cantu. 12/2 We have a big group signed up for tomorrow's Lunch with Honors with Amanda Gibson and Mike Danforth, Director and Producer, respectively, of NPR's Wait, Wait . . . Don't Tell Me! This is one of the funniest shows on the air, so it should be a lot of fun. Since registration is underway, I want to remind everyone of some of the wonderful Honors courses that are still open for Winter 2005. Some of these were selected through a very competitive selection process last year. They should be really terrific. And another special course is James Gleick's 493 1-credit mini-course: "Information, from Smoke Signals to Bits and Bytes." "Mapping Black Detroit: Race and Space in a Pre-Civil War American City." This is on the one hand, a course that takes up major themes in African-American history­migration, urbanization, segregation, unrest­but, with a twist. Many students, as well as scholars, associate these themes with the 20th century African-American experience, while this course argues that these issues have their origins in the early decades of the 19th century. Also born in this antebellum urban environment were many of the institutions that continue to shape the lives of black Detroiters today; public schools, civil rights organizations, churches, fraternal order and political associations were established by the city's earliest African-American citizens. And this course asks what role these institutions played in the lives of black Michiganders who were making the transition from slavery to freedom. "Masses and Collectives: From Biblical Crowds to Smart Mobs"
As its starting point, this interdisciplinary course will address the new global crowd that is emerging via internet and wireless telephony. This new form of collectivity, sometimes termed "smart mobs," is manifested in globally organized political demonstrations, in the spontaneous "flashmobs" organized by internet and cell phone, and in the new communities that are developing as dispersed individuals connect with others who share their interests and problems. After taking stock of this emerging global interconnectedness, we will look back at the history of crowds and discourses on collectivity. We will not simply examine culture as a dependent variable. As economic and technological development gives humans greater control over their environment, people begin to escape from the reign of necessity and the range of human choice broadens. People become less narrowly constrained by economic scarcity and increasingly able to choose the world they will live in­and these choices are influenced by their cultural values. Although there are strong theoretical grounds for believing that cultural variables may influence given societies' economic growth rates, fertility rates or the survival of democratic institutions, cultural variables have largely been left out of quantitative analyses of these topics. One reason for this (apart from ideological controversies) is that, although abundant data are available for economic variables, reliable and cross-nationally comparable measures of cultural variables simply have not been available: in their absence, the relevant literature largely consisted of sweeping claims about the role of culture based on impressionistic measures. Cities, with their complex concentrations of people and capital, generate many varieties of connections. In the realm of cultural practices and transformations, the stories that issue from the urban context are among the most revealing, about personal experience, collective history, community organization, and institutional constraint. Urban stories involve plots, protagonists, and background settings. One goal of the course I propose is to consider “the multiple ways in which we use narrative to formulate our ideas and experience of urban life" ”and “the stories heard and told in a particular town” (Finnegan, 1998) including academic theories, oral histories and a range of other renderings. The course would be based on previously taught graduate and undergraduate level urban anthropology courses, with the added feature of a focus on narrative as a way of organizing knowledge about the city. A millennium and a half after its collapse, the Roman Empire lives on in the popular imagination. No wonder: at its peak, Rome's empire was the largest the world had yet seen, spanning almost 3000 miles from West to East, with a population of 50 million inhabitants. Its capital was the world's first megacity, a sprawling home to a million people from all walks of life. From the movies we have visions of decadent emperors, fearless gladiators, and the teeming masses screaming for blood at the Colosseum. But what was life in ancient Rome really like? This course will move beyond the standard stereotypes and explore the history and culture of the city of Rome and its vast empire. Through the objects the Romans left behind, such as ruined temples, perfume bottles, imperial portraits, and soldiers' helmets, we can use art and archaeology to reconstruct the story of ancient Rome and the experiences of daily life in the Empire. Beginning with Rome's lowly origins as a small village we will trace its rise and eventual fall, traversing the empire from rainy Britain to the sands of the Sahara. Along the way we will explore such topics as politics and power, life in the army, religion, food and drink, entertainments, and the private life of its subjects. The readings and illustrated lectures will provide a broad overview, while weekly discussion sections will focus on specialized topics. There are no prerequisites for the course. Your grade will be based on two 1 hour-long exams, one final exam, and your section participation. This course explores the origins and the outcomes of the Nazi seizure of power in Germany in 1933. Because no single factor can explain why Germans consented to Nazi rule or why so few resisted Nazi persecution and genocide, we will take a multi-layered approach to this question, examining the relationships among and between political, cultural, social, and economic change. The first half of this course explores the vibrant culture and fractured politics of the Weimar Republic (1918-1933), which was deeply marked by the first World War. Our study of Weimar captures the hope and optimism that underpinned its culture and politics, but also explores how and why the Nazis emerged from this very culture to assault and dismantle it. In the second half of the course we examine the ideologies and practices of the Nazi "racial state" and the forces that drove it into war and genocide. Students will examine the blurry lines between consent and dissent, complicity and resistance in the everyday lives of both perpetrators and victims of the regime. Finally, we will investigate the connections between racial persecution and the war of conquest launched by the Nazis in 1939. A survey introduction to women's studies which serves as a foundation for more advanced work. An interdisciplinary approach acquaints students with the broad dimensions of the field. "Information, from Smoke Signals to Bits and Bytes"
James Gleick, the much celebrated author will visit the LSA Honors Program from March 28 to April 15 and teach a 1 credit minicourse, which will meet on Tuesdays and Thursdays from 3 to 5 pm. This three-week minicourse will look at the consequences of a new idea: Information Theory, born c. 1948, at the Bell Telephone Laboratories. Students will explore the influence of Information Theory as piece of knowledge and as an intellectual program, with spreading connections to physics, art, computation, genetics, and psychology. Themes will be both contemporary and ancient: the embedding of this framework in the culture, wittingly and unwittingly, and the reconsideration of some historical ideas. Likely topics include energy and entropy, the roots of computing in the 19th century divagations of Charles Babbage and Ada Lovelace, and the path from smoke signals and talking drums to telegraphy and telephony. Readings will be nontechnical (at least, nonmathematical) and eclectic. One paper will be required on a narrowly focused topic of each student's choosing. James Gleick is an author, reporter, and essayist. His latest book, Isaac Newton, was a Pulitzer Prize finalist this year and a national bestseller, as were Chaos: Making a New Science (Viking Penguin, 1987) and Genius: The Life and Science of Richard Feynman (Pantheon, 1992). His other books include Faster: The Acceleration of Just About Everything (Pantheon, 1999) and What Just Happened: A Chronicle from the Electronic Frontier (Pantheon, 2002). They have been widely translated abroad. 11/28 I hope everyone had a wonderful Thanksgiving, with a great Turkey dinner (or its vegetarian equivalent). We are looking forward to a great couple of weeks leading up to the end of the semester. This Wednesday at noon in South Quad, Professor John Carson, Honors Faculty Fellow and History Honors Concentration Advisor, will join us at Honors Roundtable. All students with interests in History will want to join us. Amanda Gibson rocketed out of Topeka, Kan. with the brains looks, and rampaging ambition that marked her as destined for the leadership of a Fortune 100 company, or perhaps a small South American nation. Instead, one day on a whim she called up a public radio program she happened to enjoy and asked if she could be an intern. Since then, she's rapidly risen up our very short ladder, becoming first an editorial assistant, then an associate producer and now, director. Strangely, the very same week she received this last inevitable promotion, United Airlines posted its largest loss ever and the people of Venezuela cried out, again, for a leader who can unite them in a renaissance of national greatness. Coincidence? Or destiny cruelly thwarted? You decide. 11/21 Tough loss to the Buckeyes, but we're going to the Rose Bowl anyway, baby! My son, Will, was down about our going without really deserving it. He agreed that the Football gods had decreed our Rose Bowl trip, but had a hollow feeling nonetheless. I tried to convince him that it would be hubris to reject this dictate of the gods. He seemed to be mollified. Likely topics include energy and entropy, the roots of computing in the 19th century divagations of Charles Babbage and Ada Lovelace, and the path from smoke signals and talking drums to telegraphy and telephony. Readings will be nontechnical (at least, nonmathematical) and eclectic. One paper will be required on a narrowly focused topic of each student¹s choosing. 11/15 This Thursday at 4 pm in the Perlman Honors Commons, Fresh Ideas will feature Honors Faculty Fellow and Psychology Professor Colleen Seifert along with four Honors Psychology Concentrators discussing their research and both research opportunities and the Honors Concentration in the Psychology Department. This is the second year we have done this; last year's was a great success. Any Honors students who are interested in Psychology will not want to miss this. Registration for Winter 2005 begins a week from Monday, and we will have Winter 2005 Honors courses on the Honors website tomorrow (Monday). Scroll down for new Honors courses that are being offered this Winter. 11/7 Friday's "Lunch with Honors," with Rwandan Sociologist, Jose Kagabo, and Forence Kayiraba, the Mayor of Kigali, was as moving experience as I have had in quite awhile. Our guests described in gripping detail the genocide of some one million Tutsis within a three-month period in the Spring of 1994 and the amazing process now that Rwandans are undergoing now in local councils to uncover the truth, hold the murderers (thought to total 800,000) accountable, and heal the social fabric. Our usual ending time of 1 pm came and went with almost no one making a move to the door. When we finished just before two, we were all profoundly grateful to our guests and a little wiser about the actualities and possiblities of human life and death and about our responsibilities in this world. Then on Friday, November 5, at noon, Jose Kagabo will join us for "Lunch with Honors." A Rwandan sociologist who has studied and thought deeply about the genocide, Professor Rwanda will be able to provide us an invaluable perspective on the possibilities for recreating human community after such a terrible tragedy. As I said last week, I think this will be a very important event, and I urge everyone to come. 10/25 Kudos to Mark Schneider, who, as part of his Honors 135 class, organized a wonderfully interesting panel discussion on Ethnic Conflict this afternoon that featured Professors Zvi Gitelman, Jose Kagabo, and Hanes Walton. Please mark your calendars for November 5, when Jose Kagabo will join us for a "Lunch With Honors." Professor Kagabo is a Rwandan sociologist who studies the genocide and efforts at social reconstruction. This will be a very important event, and I hope as many people as possible can come. I am also delighted to announce that Professor Sue Alcock, world-famous classical archaeologist and Red Sox fan extraordinaire will join us on Wednesday, October 27, for a SPECIAL WORLD SERIES EDITION OF HONORS ROUNDTABLE. Come to South Quad Dining Hall Wednesday at 12:15 to discuss any aspect of the Series, baseball, the "curse," the possibility of curses, the possibility that curses can be lifted or "reversed," etc., etc. This is a once in a lifetime opportunity--it doesn't get any better than this! 10/24 Last week's Fresh Ideas with Professor Peter Ludlow was certainly the wierdest we have ever had. We got a window on a whole world of virtual internet societies, economies (e.g., "Second Life" simoleans that you can buy and sell on Ebay, and quasi-legal institutions that I, for one, knew very little about. It was all incredibly interesting, and raises all kinds of fascinating questions about how societies, practices, and institutions arise. If you missed it and want a glimpse. Check out Ludlow's The Second Life Herald . I have been meaning to announce our Honors Faculty Fellows for 2004-2005. These are faculty who involve themselves in the life of the Program in a wide variety of ways and who are always eager to hear from Honors students. Finally, I want to bring to everyone's attention New Yorker College Tour, which will be in Ann Arbor this week. An amazing lineup of writers and talented folk will be here, including Seymour Hersh, David Remnick, Antonya Nelson, and a host of others. I've been around this place for twenty years, and I'm not sure I've seen anything quite like this. If I were you, I'd be looking to go to every event that didn't conflict with something I absolutely had to do. Check it out. 10/15 Beyond the Stigma this week has been absolutely amazing. I've gone to all the public events and seen for myself the quality of the films, plays, music, and photography. What a privilege to have Kathleen and Henry Chalfant, Anan Ameri, Oz Shelach, Annemarie Jacir, and Liz and Raffi Magnes with us this week! And what a pleasure and provocation to thought to have their presentations (and to see Betty Shamieh's powerful play "The Black-Eyed"). I know the students who took part in this incredible collaboration between the RC and the Honors Program join me in saying that we have all been through a transformative experience. The point was made in many different ways, but Henry put it in something like the following way. Information of all different sorts is, of course, relevant and necessary to think about the current situation involving Israel and the Palestinians. But it is also necessary to understand what the situation is like for those who are living through it, and this is where the arts come in. Music, photography, and the written and spoken word can help put us in others' shoes and begin to grasp the situation as it is lived. What a lesson. Professor John Campbell of Political Science will discuss opportunities for Honors students in Political Science at Honors Roundtable, Wednesday, October 20, 12:15 pm in the South Quad Dining Hall. Fresh Ideas on Thursday, October 21, at 4 pm in the Perlman Honors Commons will feature Professor Peter Ludlow. Professor Ludlow was a minor celebrity last fall when his intervention in the Sims game Alphaville (I'll let him tell you about it) led to a New York Times article and an appearance, interviewed by Rob Corddry, on John Stewart's THE DAILY SHOW. In addition to being a wonderful philosopher of language and linguist, Ludlow thinks and writes about the Internet. His book, CRYPTO ANARCHY, CYBER STATES, AND PIRATE UTOPIAS, has been widely praised and he is frequently sought as a speaker on issues concerning the Web. This should be a really interesting conversation. 10/11 BIG WEEK, THIS WEEK: "Beyond the Stigma: Palestine/Israel/USA Through Art," with a cast of more than the fingers of one hand (see below and the link above). The events start tonight, Monday, at 7:30 pm in the Perlman Honors Commons with a panel discussion, which will set up the week's events. See you there! 10/3 A lot of goings on last week with Edie Goldenberg's Lunch With Honors, where students were treated to the first public description of the Washington DC Study Semester, to begin in Fall 2005 (and so new it doesn't even have a website yet) along with an expert's perspective on the upcoming election. That was followed by a very interesting discussion of the election with students at Fresh Ideas on Thursday. A wide spectrum of views were represented, from Kerry and Bush supporters, to someone who is deciding between Kerry and Nader (and wondering what to think about the principle of strategic voting) and another who is similarly on the fence between Kerry and the Libertarian candidate (Badnarik?). Photography exhibit of photos by Raphael Magnes in the Honors Lounge, 1330 Mason Hall. The exhibition will be open throughout the week during Honors office hours. MONDAY, 10/11, 7:30 PM: Public conversation moderated by Steve Darwall, Director, Honors, with all the participants in the week’s events, Perlman Honors Commons (G421 Mason Hall). TUESDAY, 10/12, 7:00 PM: Readers' Theatre, in RC Auditorium. "The Black-Eyed," a play by Betty Shamieh. Added feature: Oz Shelach reading from his work. WEDNESDAY, 10/13, 7:00 PM: Screening of films by Henry Chalfant and Annemarie Jacir, film makers, with Janet Shier of the Residential College as discussion facilitator. Free, but pre-registration required (venue may change if a larger room is needed): email dlww@umich.edu to register. In Perlman Honors Commons (G421 Mason Hall), although location may be changed if a larger venue is required. THURSDAY, 10/14, 7:30 pm: Music and poetry readings in the RC Auditorium. Liz Magnes will play piano and Kathleen Chalfant will perform. 9/26 Last week's Fresh Ideas with Juan Cole was a real eye-opener on the historical background to the War in Iraq and to the situation currently on the ground. The very day that Professor Cole was with us, an article on his blog, "If America Were Iraq, What Would It Be Like?," was listed by www.blogdex.com as the most "contagious" blog article on the Internet. It's pretty powerful stuff, check it out. This Wednesday at noon will be our first Lunch With Honors in the Honors Lounge. Be sure to RSVP if you want to come. It will feature Professor Edie Goldenberg, Professor of Political Science and Dean of the College of LSA from 1989-1998. Professor Goldenberg is an expert on the role of the media in political campaigns and should have some interesting things to say about the upcoming election. I understand that she wants also to tell students the Washington, DC Study Semester, which will premier next fall. See you there. Both the Honors Program Student Steering Committee, which sponsors student-organized events, and the Honors Peer Mentors met last week. I'll let you know what they're up to in a later post. 9/17 A good group at Honors Roundtable last week--we talked about many different things--films, suggestions for Lunch with Honors speakers (Madeleine Albright), and how things are going in Great Books 191 (great!). (Among other things, I was pumping the students for info on how Professor Cameron is able routinely to get applause after his lectures!) Then on Thursday, the Great Man of Great Books himself was with the assembled mutitudes for Fresh Ideas. It was simply a wonderful occasion on many different levels. First, to see the mutual love (there's really no other word for it) between students and teacher and to hear a distinguished professor talk about it in just those terms was pretty inspring. Second, to see Professor Cameron in action, rising to levels of eye-popping and table-thumping enthusiasm to drive his points home (always with the eye twinkle that said: "I'm really having a lot of fun and I hope you are too) was also inspiring and energizing. Third, to learn about Cameron's childhood in Saginaw, reading the World Book cover-to-cover-to-cover-to- . . . -cover, collecting snakes, visiting the library, etc., etc., gave us a fascinating glimpse into the awakening of endless curiosity and discovery. And on and on. A pretty wonderful beginning to this year's Fresh Ideas, I would say. That's a pretty tough act to follow, but, as the great Jimmy Durante used to say, "You ain't seen nuttin' yet." This week we have, in addition to Honors Roundtable, two important events in the Perlman Honors Commons. On Tuesday at 4 pm there will be an informational session for Honors in Florence. We inaugurated this four-week program last year and, by all reports, it was a fabulous success. If you are interested in spending four weeks in one of the most beautiful cities of the world, and the center of the Renaissance, learning about, among other things, Machiavelli and Leonardo da Vinci (not the code, the real thing), at the very place it all took place, you will want to come to the PHC on Tuesday at 4 pm. This week's Fresh Ideas, Thursday, PHC at 4 pm, will feature Juan Cole. Professor Cole is an internationally-known expert on the Mideast. His blog Informed Comment is widely read and highly respected as one of the best sources of insight and comment on the situation in Iraq and other goings on in the Mideast. This will be a great opportunity to pick his brain and discuss these important matters. See you Thursday! Finally, Honors Roundtable will continue this week on Wednesday at 1 pm in the South Quad Dining Hall. Y'all come! 9/12 I just came home from dinner at Cottage Inn with the Scavenger Hunt winners from Honors Kickoff. I had a great time, talking with Ryan (RA) and a bunch of new students, two from Midland (Andrew and one by way of Brazil, Ashleigh), one from Austria, Juhi, and another from Palo Alto, Valerie (who had been in China this last summer with her family). It was also good to see Ruo Chen Lin again, who the winning team credited with doing some crucial Chinese translations. It was Ruo who told us during Orientation that he had come from China first in 2001 with the thought of returning, but decided after 9/11, probably prudently as things have turned out, that if he wanted to get in the U.S. at all in the future, he had better stay put. This week will mark the beginning of our Honors events. Honors Roundtable will start off this year on Wednesday at 1 pm (note the different time) in South Quad. Everyone is welcome to join us--no special topic this time, just whatever anyone wants to talk about. If you're free for lunch at 1 pm, come on by. (We can pay for anyone who doesn't have a meal contract. Just contact John Cantu, if you want to come and are in that category. Then on Thursday at 4 pm in the Perlman Honors Commons, we'll have our first Fresh Ideas, an interview-discussion that I host biweekly. This week's guest will be our esteemed (and fascinating) Great Books 191 lecturer, Professor Cameron. Come and learn about the treasure that has been shared by generations of LSA Honors students (including about the time an Honors Grad was interviewed at a San Francisco law firm by five (six?) former students of Professor Cameron's!). Finally, I can resist a couple of reflections about Kickoff and about conversations I have had, electronic and otherwise, with a couple of first-year students. One of the great things about Kickoff was running into students who recalled bits of a conversation we had begun during Orientation. One reminded me of his interest in the McCarthy era, and another of his fascination with pirates. When Nizar Taki messaged about the latter, I fascinating three-way conversation started between John Morgan, Nizar, and myself about the history of the Barbary Pirates, The Barbary Treaties, Islamic pirates, the Moorish Corsairs, etc. John Morgan mentioned a fascinating book he had read by Peter L. Wilson, Pirate Utopias. When I looked that up on Amazon, I realized that the idea of "pirate utopias" appears also in the title of a book my colleague in the Philosophy Department, Peter Ludlow, has written about the Internet: Crypto Anarchy, Cyberstates, and Pirate Utopias. Check them out. 9/6 Classes start tomorrow. We won't be having either Honors Roundtable or Fresh Ideas this week, but they will start up next week. Friday's Honors Kickoff was just an amazing event. The Natural Sciences Auditorium holds 430, and it was absolutely packed. All the speakers had really interesting things to say. Lynn Rivers talked about the incredible toll that being "on" 24/7 takes on the lives of members of Congress, with real consequences both for their well-being and for the quality of governance. Peter Schweitzer challenged us to take more time to experience and think more fully and to engage one another as human beings. Kelly Askew took us inside the greeting rituals of East Africa, but also reminded us to be wary of stereotypes of "faster" and "slower" societies. And Tim McKay gave an elegant and succinct explanation of the fundamental significance of the title of Gleick's book, Faster: the Acceleration of Just About Everything, namely, that it is not motion per se, but faster motion or acceleration that calls for explanation and that the universe is expanding at an accelerating rate. Perhaps even more amazing than the turn out at the assembly was the fact that virtually everyone stayed through the discussions in break-out groups and on through lunch at the Union Ballroom. I have talked to a lot of people who were in different discussion groups, and it seems like very different, but also very interesting, conversations were going on in each of them. The Dan Band rocked the house at lunch, which was followed by a scavenger hunt organized by our intrepid (and creative) RAs. The winners reprised their rendition of "The Victors" backwards. The curtain came down on the proceedings at about 3 pm. Many thanks to all for a wonderful day. This is a great beginning to the year. 9/1 Here I am again after almost four and half months. I've really enjoyed getting to meet this year's entering class during Orientation--an amazingly talented and engaged group, if our discussions are any measure. Lynn Rivers A member of the U.S. Congress, representing Michigan's 13th District in the 104th and 105th Congress, Lynn Rivers is a graduate of the LSA Honors Program. She is currently on the faculty of Washtenaw Community College. She will help us think about the ways in which "faster" pace affects political campaigns and debate. Peter Schweitzer Former President and CEO and current Chairman of J. Walter Thompson, the largest advertising agency in the U.S. and fourth largest in the world. Peter Schweitzer has long been a member of the LSA Honors Alumni Advisory Board and, with his wife Elaine, has been a strong supporter of the Honors Program. They recently endowed the Schweitzer Collegiate Scholarship, which supports LSA Honors students from Michigan. He will help us reflect on the ways in which "faster" pace affect commerce and our relation to it. Kelly Askew A member of our top-ranked Anthropology Department, Kelly Askew took her Ph.D. from Harvard, and her B.A. from Yale. Her book Performing the Nation: Swahili Music and Cultural Politics in Tanzania examines the relation between Swahili musical performance shifting conceptions of national identity in Tanzania. She will help us think about how "faster" pace affects non-Western societies and local and global interaction. Tim McKay Associate Professor of Physics, Tim McKay took his Ph.D. from the University of Chicago and was an undergraduate at Temple. His research focuses on fundamental questions of observational astrophysics and cosmology. So he is ideally placed to help us consider fundamental physical issues of time that Gleick's book Faster raises. He has frequently won LSA Excellence in Education Awards and also received the Presidential Early Career Award in Science and Engineering. After the Assembly, we will break into small groups led by Honors faculty, staff, alumni, and peer and resident advisors to discuss Faster, and then head over to the Michigan Union Ballroom for lunch and fun and games. I'm really looking forward to this year. My first Fresh Ideas session will be on Thursday, September 16 at 4 pm in the Perlman Honors Commons and will feature Professor Don Cameron, the storied and celebrated lecturer in Great Books 191, much loved by generations of Honors students. It should be a real treat. 4/15 It's getting close to end of term, but a lot has been going on. Tuesday we had Fred Bookstein, Honors Collegiate Fellow, discussing his critique of universities' involvement in biotechnology research. Fred has far-reaching and well-thought-out views on this matter that are well worth careful thought. Here's a link to his "Biotech and the Watchdog Role of Universities," from the Washington Post . Then Tuesday evening we had a good discussion with Stefan Richter's Honors residents at South Quad Dining Hall. We talked about many interesting things, including the psychology of evil (including the Milgram experiments on obedience to authority). Today (Thursday), Honors Student Steering Committee will host Katie Horne, Director of Admissions at the UM Medical School at 4 pm in the Perlman Honors Commons. Everyone is welcome. 1st: Kendal Sparks, original voice composition: "Taylor"
2nd: Madison Moore/Michael Smith, cello/violin duet: Handel, "Passacaglia"
3rd: Brittany Fox, aria from Verdi's "La Traviata"
Many thanks to Stefan Richter and the other Honors RAs for a great event. This Thursday at 4 pm in the Perlman Honors Commons, Fresh Ideas will feature History Professor Leslie Pincus and a group of Honors History Concentrators (Rob Goodspeed, Ben Heller, Kiron Johnson, John Nelson, and Nathan Platte) discussing their thesis research. "The Challenges and Pleasures of 'Doing History'": Reports from the Front Lines"
"intellectual talent." It would be great if we could generate some of the same enthusiasm we had last Friday night. See you Thursday at 4 pm in the Commons--refreshments served! 3/31 I'd better get my entry in tonight before April Fool's. Tomorrow, Lang Lang will be playing at Hill Auditorium. My wife, Rosemarie, and I had tickets, but since our son Will is playing in a competing orchestra concert at Pioneer High School, I offered the tickets to the first Honors student answering my message. About 20 students responded before we sent out the "We Have a Winner," message less than an hour later--a lot of Lang Lang fans in the Honors Program! The lucky winner was Jessica Liang. Bear in mind that there are many seminar-like or -sized courses in addition to those specifically marked "Seminar," e.g. Colleen Seifert's section of Psych 114, and Phil 297, among various others. This Thursday at 4 pm, the Honors Student Steering Committee is hosting Organizational Studies Advisor, Bill Kerschbaum, in the Perlman Honors Commons. Next week, Fresh Ideas will feature several History Honors Concentrators discussing their thesis research along with Honors Faculty Fellow, Leslie Pincus. Both events should be very interesting. 3/24 This week seems to be our week for new ideas. Thursday's Fresh Ideas will feature a discussion an organizational meeting for a nascent Honors Peer Tutors Society. The HPTS is the name that its founder (would-be founder? will-be founder?) Richard Chang, a first-year Honors student, gives to his proposed group of tutors or mentors of upper-level students who will make themselves available to work with first-year students, especially in popular Honors courses such as Great Books, Honors math, and organic chemistry. All interested parties should come to the Perlman Honors Commons tomorrow at 4 pm. 1) Invite honors students to think about topics they'd be interested in discussing with fellow honors students and possibly a faculty member or two over lunch. These might be topics related to or inspired by current events, exciting classes they're taking, ongoing political debates, or midnight dorm-room conversations they've had with their buddies. The only restrictions on topics (if any) would be that they should readily admit of differing viewpoints and that they should be of likely interest to a reasonably wide range of thoughtful people. The topic statements might take the form of debate-style propositions, questions, provocations, paired alternative viewpoints, etc. Topics could be emailed to the honors office and/or written down and dropped in a box set up in the office for that purpose. 3) Announce the selected topic and set up a lunch for the first ten students (and one or two faculty associates) who RSVP. 4) Let 'em at it! Responses to my emails suggests a lot of interest in this idea. Perhaps we can start to implement it yet this semester. But if not, it certainly seems like a very good thing to get on track next year. 3/17 Yesterday, we had Guy Stevens for Lunch with Honors. Stevens, who was for many years a leading economist with the Federal Reserve, discussed how the U.S. stacks up according to indicators of child well-being (infant mortality, percentage of children living below the poverty line, etc.). The answer, alas, is not very well at all. For example, on the last statistic, we are dead last among developed nations. There was quite a bit of discussion, which many stayed to continue after the official 1 pm end. Today, Wednesday, at noon in South Quad, Naomi Andre and Donna Ainsworth from Women's Studies will join us to discuss opportunities and issues in Women's Studies. Next Thursday in Fresh Ideas we will have an organizational meeting for a new project: Honors Peer Tutoring Society. This is the brainchild of first-year student, Richard Chang, and it's a great idea: a cadre of experienced Honors students mentoring first-year students. It's not meant to substitute for meeting with faculty or graduate students, or student-study groups, but rather to complement them. "I know this is something the new class of Phi Beta Kappa has learned. We celebrate your extraordinary accomplishments in things that are signally worth doing. You have excelled at least partly because you have found your intellectual activities so fulfilling, intrinsically engaging and, in some cases positively inspiring. You have found subjects, questions, ideas, texts, and works of art that absorb you—that you want to think, and continue to think, about. When we celebrate your accomplishments, therefore, we honor also your values. We say, not just “well done,” but also “well valued.” In many ways, this is a more impressive, certainly a more profound accomplishment. It reflects not just your skill, but your maturity and humanity. Congratulations!" 3/8 Last week's Lunch with Honors with Lester Purry and Cheyenne Casebier of the Guthrie Theater was really quite amazing. They are two very thoughtful actors, and it was fascinating to discuss Othello and the Guthrie's production with them before seeing the play. The idea of stressing the "domestic" aspects of the drama was especially interesting. This Thursday, at 4 pm in the Perlman Honors Commons, Lester Purry will join Professor Marjorie Levinson and Ari Friedlander for further discussion. If you were able to see the production, or are just interested in Othello, we hope you will come. The Michigan Daily ran an interesting article today on our new program for third- and fourth-year students, Honors in the Liberal Arts. Very nice to have some good press. Also this week: the PHSSC is sponsoring the visit of the UM Law School Dean of Admissions to the Perlman Honors Common on Wednesday at 4 pm. And Professor Genevieve Zubryzycki of Sociology will join us for Honors Roundtable in the South Quad Dining Hall on Wednesday at noon. 3/1 Everyone's back after a well deserved week's break. The highlight of this week is the world-famous Guthrie Theater's production of Othello and Tuesday's Lunch with Honors with the two leads, Lester Purry and Cheyenne Casebier, Tuesday, March 2, at noon in the Honors Lounge. This should be incredibly interesting and well worth going out of your way for. See you there! 2/20 Wednesday's Roundtable reminded me of what I love about Michigan Honors undergraduates. We started out talking about Erin Midga's difficult choices between invitations to join graduate programs in Egyptology (UC Berkeley and Johns Hopkins so far, with Chicago and Penn still to report), and got on to talking about a production of Aristophanes' Archanians that another student is working on (Al?) and two other students plans' for double majors in, respectively, Biology and Theater (great combination, no?) and Spanish and English. Both of the latter are going for their teacher's certificates so that they can teach their subjects in high schools. It doesn't get any better than that, does it? 2/16 Honors RA Erin Migda will be bringing some of her first-year Honors residents to Honors Roundtable this Wednesday at noon in the South Quad Dining Hall. Then, on Thursday at 4 pm in the Perlman Honors Commons, Fresh Ideas will feature a presentation and discussion of a new Honors track for third- and fourth-year Honors students: Honors in the Liberal Arts. HLA, which will begin in 2004-05, is an alternative to Honors Concentrations that is designed for those students who want to take advantage of especially challenging opportunities outside of their area of Concentration. Come on Thursday and check it out! By the way, I just saw The Fog of War tonight at the Michigan Theatre. If you want to see a really powerful film about Robert McNamara's experiences during and reflections on WWII, the Cuban Missile Crisis, Vietnam, and much else, I really recommend this film. It's the best thing I've seen in quite a while. If you want to know more about it, come to Wednesday's Honors Roundtable, and I can tell you about it then. Or if you're interested in getting a group together to go and then discuss the film, let me know about that too. 2/10 Great turnout for last week's Fresh Ideas with Christine Korsgaard, which was an eye-opening session. It is always encouraging, and humbling, to realize that people we look up to as great thinkers had their own intellectual struggles and journeys. We learned that Professor Korsgaard had been so alienated from high school that she had decided to give college a pass and take a job as a secretary in a law firm (while reading Kant and Plato on the side). Some partners in the firm convinced her that college could be very different from high school and not a bad thing after all. So she went off to Eastern Illinois University and then to the University of Illinois (from which she will receive an honorary degree this spring). A lot going on this week, Honors Roundtable will focus on mathematics this week and the Honors Students Steering Committee are hosting a session on Business School on Tuesday (for details, see the post for 2/2). Also, there will be a Censorship Seminar with Professor David Porter of English on Friday (February 13) from 1 to 3 pm in the Perlman Honors Commons. Let me know if you are interested. Tuesday, March 2, noon Lunch With Honors, featuring members of the cast. Friday, March 5, 8 pm, Othello, Power Center--we have tickets available for the nominal feel of $10, please contact John Morgan if you want to purchase them. Thursday, March 11, 4 pm, Perlman Honors Commons, Fresh Ideas--Professor Marjorie Levinson and Ari Friedlander of the English Department will discuss the play and the production. 2/2 A good number of new students came to an organizing meeting of what will now be called the Honors Students Steering Committee. They are planning some great events for upcoming weeks, starting with Pre-Business Advisor Courtney Morton in the Perlman Honors Commons next Tuesday, February 10, at 4 pm. Honors Roundtable with Biochemistry Honors Concentration Advisor Charles Yocum , Wednesday, February 4, at noon in South Quad Dining Hall. Fresh Ideas with this year's Tanner Lecturer, Christine Korsgaard on Thursday, February 5, at 4pm in the Perlman Honors Commons. One of the finest moral philosophers in the world, Korsgaard is the Arthur Kingsley Porter Professor of Philosophy at Harvard. The Symposium on the Tanner Lecture, with Christine Korsgaard, Marc Hauser (Psychology, Harvard), Seana Shifrin (Philosophy and Law, UCLA), and Allen Wood (Philosophy, Stanford) on Saturday, February 7 from 9:30 am to 12:30 pm in the Vandenberg Room of the Michigan League. 1/29 A great discussion with Molly van Houweling in Fresh Ideas last week--a fascinating insider's view of the workings of the Supreme Court (including during Bush v. Gore!). Pretty amazing. This week things are a little slow, but they will definitely pick up in the following two weeks. We had to cancel this week's planned Honors Roudntable with Michael Traugott from Communications because we had inadvertently scheduled it opposite Communications 102, which a number of interested students are taking. We'll do it again at another time. There will, however, be an organizational meeting of the PHC Student Steering Committee on Thursday, at 4 pm, in the Perlman Honors Commons. PHCSSC event on Tuesday (note change of day), February 10 at 4pm in the Perlman Honors Commons with Pre-Business Advisor Courtney Morton. Censorship Seminar with Professor David Porter of English on Friday, February 13 from 1 to 3 pm. Let me know if you are interested. 1/22 We had a really good group for Lynn Rivers's Lunch with Honors on Monday. Since it was part of the University's Celebration of Martin Luther King, Jr.'s Birthday, we attracted a lot of folks from the wider community as well. I'm really looking forward to today's Fresh Ideas with Professor Molly van Houweling of the UM Law School (at 4 pm in the Perlman Honors Commons). Professor van Houweling was herself a UM Honors undergrad in Political Science before she went on to the Harvard Law School. And she has had an absolutely fascinating career, clerking for Justice Souter on the Supreme Court and working on issues of intellectual property and the Internet. A number of students have messaged me that they are especially excited about this one. 1/18 I just came home from a concert by Orchestre Revolutionnaire et Romantique with the Monteverdi Choir as part of the gala Re-opening of Hill Auditorium weekend. It is difficult to overstate what an amazing treasure Hill Auditorium is for the University of Michigan campus. I can't imagine there is another university in the country that has a similar facility with such a storied past with a comparable arts production organization to the University Musical Society . I was an undergraduate at Yale, and I know we had nothing that even comes close. Hill looks unbelievably beautiful after the renovation, and there are some wonderful concerts coming up--even School of Music concerts, which are really excellent to begin with, will become very special occasions in the new Hill. You really should check it out. Students can get rush tickets for $10 on the day of the concert. Do it-- you'll never forget your UM memories from Hill--I guarantee it. 1/12 This week we start our Honors activities back up for the new term. Wednesday's Honors Roundtable will feature Professor Klaas van't Veld of the Economics Department, who will discuss the Honors Economics Concentration and other opportunities for students interested in economics. Then on Thursday at 4 pm, the Student Steering Committee will sponsor a Peer Advising Session in the Perlman Honors Commons. March brings the Guthrie Theatre's production of Shakespeare's Othello on March 4-7. This will be a wonderful opportunity. We will be trying to get some of cast for a Lunch with Honors and to help interested Honors students get tickets to the play. Stay tuned for this also. Samuel Epstein, Linguistics, "Language and Mind"
Juli Highfill, Romance Languages and Literature (French), "Masses and Collectives: From Biblical Crowds to Smart Mobs"
Martha Jones, History, "Mapping Black Detroit: Race and Space in a Pre-Civil War American City"
Colleen Seifert, Psychology, "Psychology in the Wild"
Mark Tessler, Political Science, "Arab and Muslim Political Thought"
There is another proposed course in Applied Microeconomics that we are hopeful will be taught in 2004-05 also, but this is still conditional on faculty availability in the Economics Department. In addition, there are at least two or three other proposals that are likely to be taught as well--stay tuned for further details. Things will be starting up pretty quickly this next week. To give everyone a chance to settle in while courses are starting up, we won't be having any special events during this first week. 12/2 I hope everyone had a great Thanksgiving break. The big news around here is that the new Honors website has gone live! Check it out and let us know what you think. The semester is winding down, but there's still a lot going on. We had a very good group at a special Honors Roundtable today for folks who had been unable to come during the regular Wednesday noon times because that conflicted with Great Books 292--a very interesting discussion! Next week will feature Lunch with Honors with James Tobin, author of Ernie Pyle's War, who gave a terrific talk at the Honors Kickoff, on Wednesday at noon in the Honors Lounge (1330 Mason Hall). After that there will be a Holiday Open House from 2 to 4:30, also in the Honors Lounge. Come and you can more or less eat continuously almost all afternoon! 11/22 "It's great to be a Michigan Wolverine! It's great to be a Michigan Wolverine! It's great to be a Michigan Wolverine! . . . ." UM 35, OSU 21. And now for a real thrill, listen to The Victors. 11/12 Honors English Concentration Advisor, Sara Blair, brought her enthusaism and passion for literary studies to an Honors Roundtable today. It was really wonderful to see the degree and depth of student interest. Thanks so much to Sara and to all the students who came. Tomorrow, Thursday, at 4 pm, Brian Coppola is bringing a group of Honors Chemistry Concentrators to discuss their research at the Fresh Ideas session in the Perlman Honors Commons. Judging from all the RSVP's I've received, it should be a really exciting session. I'll be leaving Ann Arbor just after Fresh Ideas to head across the Atlantic to give some lectures at King's College, Cambridge, including one as part of the 100th anniversary celebration of G. E. Moore's, Principia Ethica. Moore was the darling of Bloomsbury, and Principia, a great favorite of Bloomsburians like Virginia and Leonard Woolf, and John Maynard Keynes. For moral philosophers like me, though, Principia is one of the great works of analytical moral philosophy of the 20th Century. Let me know, if you want to know more! 11/4 A great group at last week's Fresh Ideas with Psych Honors Concentrators Liz Lin, Kristen Hewell, and Karen Lee. Lots of interesting questions and good information. And ditto for the Roundtable on Wednesday with Political Science Honors Concentration Advisor John Campbell and Honors Concentrators, including Sumon Dantiki. Then on Friday about 30 students took a special Docent's Tour of The Romanovs Collect, a wonderful collection from the Hermitage in St. Petersburgh. And the weekend before, Liina Wallin took a group of Honors St. Petersburghers to the Kirov Ballet at the Detroit Opera House. These were all very successful events. Many thanks to all who came and made them so interesting for everyone else! This week, I will be donning my "philosopher's hat" at the Roundtable on Wednesday for all Honors students interested in Philosophy. And on the Thursday, the PHC Student Steering Committee will be screening a film in the Commons. See you there! 10/26 Last week's first Student Steering Committee event in the Perlman Honors Commons was a great success. The Committee is looking forward to its next event next week. Wednesday (10/29): Honors Roundtable will feature Political Science Honors Concentration Advisor John Campbell along with some Honors Concentrators who will be available to discuss the Honors Concentration in Political Science with first- and second-year Honors students. Thursday (10/30): Fresh Ideas will feature Psychology Honors Concentration Advisor Colleen Seifert and a number of Honors Concentrators who will discuss their research. Anyone interested in psychology, and especially any students interested in the Honors Concentration in Psychology is strongly encouraged to attend. 10/22 The Honors Program has been the subject of an editorial and a "Viewpoint" piece during the past week. The latter was by Rob Goodspeed in the Michigan Daily (search for it in the archives with "Perlman") criticizing the Perlman Honors Commons, and a former appeared in the Michigan Review, and it criticized Honors' new invitation process. So that students will be clear about the policy of the program, I am posting below my letters to the Daily and the Michigan Review, respectively. However, I want to be clear that in so doing, I mean to observe an important distinction between clarifying and defending policy and trying to shape the public debate on the issues themselves. In the latter, I am simply one individual among others, and I hope students will feel perfectly free to form their own opinions on these issues by evaluating the arguments as they see them. One day before his “Viewpoint” piece criticizing the Perlman Honors Commons appeared in the Daily, Rob Goodspeed defended the Residential College’s Benzinger Library against a (rumored) University closing on his weblog (http://www.goodspeedupdate.com ), saying that the library “serves as a resource for the Residential College: RC professors put . . . materials on reserve there, and the library has hosted a variety of artistic and educational events in the past.” The Benzinger Library is a resource for the Residential College in precisely the same sense that the Perlman Honors Commons is a resource for the Honors Program. Each exists primarily to support the activities of its respective program. The Honors Commons’ function is to provide a site for Honors seminars in its internal classroom, for intellectual events such as the Fresh Ideas symposium I host biweekly, for events planned by the Honors Student Steering Committee, for meetings between Honors faculty and students, for student meetings, for student (and faculty) study, and for informal conversation. As for access, Goodspeed is simply mistaken when he says that access is restricted to Honors students. Although the primary function of the Commons is to support Honors Program activities, we have not found it necessary to restrict access to serve that function. Of course, unlike the Benzinger Library we have a central location, so we can’t guarantee that that will always be so. Finally, I would like to clarify a misunderstanding about our Admissions process. It is true that this year we will be able to make use of the University’s new application materials (with new essay questions and teacher recommendations) to get a better sense of our applicants, including their intellectual seriousness and curiosity, but it is just not true that before the Program relied entirely on grades and test scores. The Program also took account of other factors, including, like UM Admissions, race, in order to build a more diverse class. We are in complete agreement with Mr. Goodspeed about the importance of that goal. I am writing in response to your editorial of October 15, “The Death of Merit: Honors Targets Diversity Over Grades.” Please allow me to make two points. First, the editorial quotes my Honors webpage as follows: “the new UM application materials will make it possible for us to rely less on quantitative measures and we are especially interested in identifying and actively recruiting talented students of color, and we are hopeful that the new application materials and our process will help us to do that more effectively.” This is not, however, what my webpage says, as anyone can confirm at www.umich.edu/~sdarwall/honorsblog.html . It is true that every word quoted in your editorial appears there, but so also do some twenty-five more that occur smack in the middle of the passage, which are essential to its overall sense and which your “quotation” simply leaves out without even an ellipsis! Here is what I there said (in response to the Daily article of October 3): “(a) the new UM application materials will make it possible for us to rely less on quantitative measures in gauging, among other things, how interested students are in the kind of academic challenge and intellectual exchange the LSA Honors Program is all about, and (b) we are especially interested in identifying and actively recruiting talented students of color, and we are hopeful that the new application materials and our new process will help us to do that more effectively.” My point was that the new materials will make it possible for us to get further evidence, along with test scores and grades, in judging qualities of mind--for example, curiosity, creativity, and interest in the exchange of ideas and intellectual growth. Second, your editorial perpetuates a myth about admission to highly selective undergraduate institutions and programs, namely, that students who “have worked hard in high school” have thereby “earned their place in the meritocracy of the Honors” Program. Admission to such institutions, and to the LSA Honors Program, is not an honor or prize that is awarded on the basis of past achievement. We have invited to the Honors Program in the past, and will continue to invite in the future, students whom we judge to be the most ready, willing, and able to contribute to and take greatest advantage of the most challenging program and vigorous intellectual community we can create. The new applicant essays and teacher recommendations, along with grades and test scores, will enable us to judge this more accurately. As the work of the psychologist Claude Steele (among others) has shown, for example, the performance of African-American students on standardized aptitude tests, such as the SAT, sometimes results from factors other than underlying intellectual potential. And we agree with the most highly selective undergraduate institutions such as Harvard and Yale that a vigorous undergraduate intellectual culture is one that is racially diverse. 10/19 A lot going on this coming week, beginning with Robert Donia's De Roy Lecture, "Judging the Past: The Uses and Abuses of History at the Yugoslav War Crimes Tribunal," on Monday, October 20, 4 pm in Auditorium A, Angell Hall. I've recently been reading Bernard Henri Levy's gripping "Who Killed Daniel Pearl?" , which I very much recommend. Levy argues that the formative experience of those of Pearl's kidnappers and murderers who had grown up in Europe (like the European-based jihadists involved in 9/11) was the genocide of Muslim peoples in Bosnia--that is, as they saw it, that the liberal regimes of the West would tolerate such treatment of Islamic peoples, even in Europe. This is yet another reason to be interested in Robert Donia's lecture. On Thursday, at 4 pm in the Perlman Honors Commons, the Student Steering Committee will be holding the first of its alternate Thursday afternoon sessions, featuring Jennifer Hardacker of the LSA Program in Film and Video Studies. Hardacker has worked on a number of really interesting commercial projects, including Saturday Night Live, and will be bringing some of her work. This had been scheduled two weeks ago, but it had to be postponed. Wednesday, October 15, 5 pm: Deadline for October (Con)test: up to $200 worth of culinary pleasure to the group that can name the most UM-connected notables in the murals in the Perlman Honors Commons. Thursday, October 16, 4 pm: Fresh Ideas, Perlman Honors Commons. Join Andrew Admon and me for a discussion about the engagement between the U.S. and Iraq. Andrew is a first-year Iraqi-American Honors student who will help us think through issues about war and peace, culture and identity. Monday, October 20, 4 pm, Auditorium A, Angell Hall, Robert Donia, De Roy Visiting Professor in Honors, Judging the Past: The Uses and Abuses of History at the Yugoslav War Crimes Tribunal. This week will also be full. On Wednesday, at 12:30 pm, Lunch with Honors, will feature William F. Schulz, Director of Amnesty International. Mr. Schulz will also take part in "The Destruction of Civilization and the Obligations of War," a symposium that will also include Piotr Michalowski, Kenneth Watenpaugh, and me, on Wednesday, at 2 pm, in the Pendleton Room of the Michigan Union. Then on Thursday, at 4 pm in the Perlman Honors Commons, the Student Steering Committee will be holding the first of its alternate Thursday afternoon sessions, featuring Jennifer Hardacker of the LSA Program in Film and Video Studies. Hardacker has worked on a number of really interesting commercial projects, including Saturday Night Live, and will be bringing some of her work. It should be a terrific program. This week also marks the beginning of Robert Donia's mini-course on the Yugoslav War Crimes Tribunal. Stay tuned for news of an upcoming Lunch with Honors with Donia, as well as a lecture on Monday, October 20 (in Angell Auditorium A). 9/28 Ian Proops joined a number of us at Honors Roundtable for a fascinating conversation about techno and related genres prefatory to his very popular upcoming Culture Bus trip to Detroit this coming weekend: "A History of R&B, Pop and Techno in Detroit" If you haven't been able to make an Honors Roudtable yet, I hope you'll do so soon--every Wednesday at noon in the South Quad Dining Hall. All Honors students who might be interested in this program for May, 2004, or just hearing about possibilities for the future are urged to come. 9/23 Last week saw our first Honors Roundtable and first Fresh Ideas. On Wednesday a group of first-year Honors students joined John Cantu, Professor David Porter, and me for a very enjoyable conversation in the South Quad Dining Hall on a wide range of topics, from Stephen Kinzer's new book, All the Shah's Men, about the coup in Iran in 1953, to Robin Williams! And during last Thursday's Fresh Ideas in the Perlman Honors Commons, Dan Klionsky let us in on how he first found his passion for biology (suprise: it was another professor at UCLA who was passionate about biology himself). He and a number of interested students stayed afterwards to talk about course offerings and career paths. Honors Roundtable will take place again this week on Wednesday at noon in the South Quad Dining Hall. I hope to see you there! Also this week, the Student Steering Committee will be holding an organizational meeting on Thursday, September 25, at 7 pm in the Perlman Honors Commons. Anyone who is interested in taking part in planning events for the Commons is urged to attend. 9/17 Honors Roundtable, a weekly opportunity (every Wednesday) to have lunch and share ideas with Honors faculty and staff, begins today in the South Quad Dining Hall at noon. I will be hosting it along with John Cantu. Just look for the maize and blue flower (and a bunch of people who look like they're having an interesting conversation). Also Fresh Ideas, a biweekly interview/discussion featuring faculty (and sometimes student) guests, also gets started this Thursday, at 4 pm in the Perlman Honors Commons. This week's guest will be Dan Klionsky, of Molecular, Cellular, and Developmental Biology and the Life Sciences Institute. This should be especially interesting for students with interested in health and the life sciences, as we discuss recent discoveries in this exciting field, career opportunities, and how Dan came to be interested in it. See you Thursday! 9/14 By our count, 120 students packed into the Honors Lounge for Judge Simma's Lunch with Honors presentation last Thursday. It was fascinating to have his perspective on the current international scene, in particular, on the U.S.'s posture towards the International Criminal Court. Stay tuned for the dates for future Lunch's with in October. One will feature William F. Schulz, Director of Amnesty International, and the other, Robert Donia, who will be giving an Honors mini-course on the Yugoslav War Crimes Tribunal. It has been utterly unplanned, but we seem to be developing quite a series on international law and human rights. 9/8 This week, Judge Bruno Simma, who sits on the International Court of Justice joins us for Lunch with Honors on Thursday, September 11, at noon in the Honors Lounge (1330 Mason Hall). This will be an opportunity to get an insider's view of the goings on at the Court during one of the most turbulent period in recent memory. For more information about this event, check here. 9/4 A lot of stuff going on this week. The main office has been filled with students coming for "walk in" advising, and the Honors Commons has been very busy also. Mostly students have been using it as a quiet place to read, but there have also been small meetings and, of course, conversations. One meeting was of upper-class Honors students (Clair Morissey, Sumon Dantiki, Mitesh Patel, Zach Caple, Johanna Hanink, Brian Lobel) who will be offering sections of the mini-course, Honors 135, Ideas in Honors, for first-year Honors students. The topics range from poetry, literature, and theatre, to medicine and leadership, and they all look fascinating. The other meeting was of a group that will be the Student Steering Committee to organize afternoon events in the Perlman Honors Commons, which events will alternate with the biweekly interview/discussion sessions, Fresh Ideas, that I will be hosting on alternate Thursday afternoons at 4 pm, beginning of September 18, when my first guest will be Dan Klionsky, who teaches Honors Introduction to Biology. Members of the SSC are Sasha Achen, Beth Percha, Ryan Bonneville, Liz Lin, Jessica Steyers, Lyric Chen, Jia Wang, and Chris Hayward. You will hearing from them soon both to solicit your ideas and to let you know about theirs. In the "look at the amazing things that are going on all over the University" category: Werner Herzog's incredible documentary about Kuwait just after the Gulf War, Lessons of Darkness, will be shown Tuesday, September 9, at noon, in the Institute for the Humanities (0520 Rackham Building). I don't know this film, but I do know other works of Herzog (e.g., Aguirre, the Wrath of God) and this promises to be the "real deal." There will be a discussion afterwards led by Mark Norens of Film and Video (and Asian Languages and Cultures). Mark will be doing an Honors course for us in the Winter. 8/29 Thanks to everyone who came to the Honors Kickoff today. I thought it was a pretty amazing gathering--300 plus students, an interesting talk by Jim Tobin, and very interesting following discussion with excellent questions. I hope everyone was able to get into the Perlman Honors Commons for at least a short time--it was jam-packed and buzzing with conversation. I was glad to get to meet as many of you as I did--don't hesitate to drop by if we didn't get a chance to meet. "Good Afternoon. For those of you whose Orientation was before July 1, let me introduce myself. My name is Steve Darwall, and as Director of the Honors Program, it’s my great pleasure to welcome you all to your first year in LSA Honors. In a moment, I will introduce James Tobin, author of Ernie Pyle’s War, who will speak to us on how Americans’ perceptions of war and warfare are shaped by the way they are reported. After that, we will have some time for discussion, and then we’ll adjourn to the Perlman Honors Commons for a reception. "First, however, I would like to say a few words about this new life you are beginning here in Ann Arbor. Finally, comes the part you’ve been waiting for. After twelve years of people telling you more or less what you have to take, you get to choose. And you get to select from a curriculum that is as rich and diverse as that of any university in the world. You get to discover what interests you and, perhaps, to find passions that will shape and give meaning to the rest of your life. "Coming to universities has always been about self-discovery, about moving beyond the provincial and seeing what’s “out there” to discover and develop what’s “in here”—whether it was Ernie Pyle leaving his farm in Dana to go the University of Indiana in 1919. Or Arthur Miller, the great American playwright, working as a stock clerk in an auto parts company for two years in Brooklyn to scrape together the money to come to the University of Michigan in 1934. Or me, escaping (as it seemed to me), the suffocating status-conscious culture of a suburban Texas high school to go far away to a place where I thought no one would care about that. [I won’t tell you when that was.] Or you, whatever your background, and whatever your reasons for coming to Michigan. "Of course, we sometimes pretend we live in a time that is beyond the provincial; we have world-wide-media and the world-wide-web. But I think almost the reverse is true. Although our mediated world makes possible all kinds of exciting crossing-over and hybridization (have you seen “Bending Like Beckham?”), it also can encourage people to find and stay comfortably in their own niches—now world-wide niches, with niche-specific radio, tv, periodicals, e-mail, junk mail, and spam. And the engagement we have with what’s “out there” is often oddly safe and local—brought into our homes with no sweat, in English. "‘University’ comes from the same root as ‘universe’—roughly, the whole thing. The universe is unlimited, everything that exists (as we used provincially to think, at least—never mind about parallel universes). And the university comprises, roughly, everything that is or can be known or appreciated by the human mind: if you like, unlimited knowledge and understanding; better: knowledge, unlimited by any human intervention (say, by society or by the church), limited only, that is, by the limits of knowledge itself. That sounded like a pretty cool idea to me when I was your age. It does still. "To test limits, of course, you have to be willing to take some risks, to sign up for courses on topics that in high school you didn’t even know existed, to resist current trends and fashions, to go to lectures and discussions that you’re not sure you will, or you think you probably won’t, understand very much of, to talk to people who you’re not sure you will, or you think you probably won’t, understand or agree with. And so on. "It’s easy to think, and our culture (not to mention our parents) sometimes seem to say, that a sensible plan is to find a goal for our lives (say, a career, such as law or medicine) and then to set about achieving it—taking those courses that will help us get to where we want to go. But why should we assume that we know where we want to go? Or even that we should know what we want to do at this point? "When Arthur Miller came to Michigan, we are told, his aim was to become a journalist. Only in Ann Arbor did Miller find his passion and gift for writing plays, plays of ideas, like Death of a Salesman and The Crucible through which Americans struggled with some of the most important themes of the 1950s and 1960s (not to mention today)—the competitive coldness of commercial life and the American capacity to scapegoat and suppress perceived enemies? It is humorous in this connection to find Arthur Miller, in the pages of Jim Tobin’s book, trying, without much success, to get Ernie Pyle to say what World War II is really about, what its meaning or purpose is—the playwright of ideas being frustrated by Pyle’s journalistic instinct to tell it more or less like it is. What if Arthur Miller had stayed his journalistic course—would he have ended up as frustrated with himself? "Or take another example, which I borrow from a talk by Richard Brodhead to last year’s entering class at Yale, the case of Maya Lin. Lin is best known for the famous Vietnam Veterans’ Memorial in Washington—the haunting, austere wall that registers the name of every soldier who died in that terrible conflict. She designed the wall while she was a senior at Yale. As it turns out, she made an early model from mashed potatoes in her dining hall—surely one the most creative uses of college food in the history of higher education. Lin is also, like many of us, a native mid-westerner (she grew up in Athens, Ohio), and she also has a Michigan connection. If you haven’t seen her Wave Field at the College of Engineering on the North Campus, it’s definitely more than worth a trip. Anyway, when Maya Lin began her undergraduate career, she was certain she wanted to be a field zoologist. It was only when she discovered that that would involve dissection and what dissection was actually like that she had second thoughts. We now know where those second thoughts led. The path, however, was certainly unplanned by her and actually quite amazing. During a junior term abroad in Denmark, for example, Lin studied in a part of Copenhagen that contains a large cemetery where important national figures like Kierkegaard and Hans Christian Andersen are buried, and which citizens of Copenhagen use as a public park. Brodhead points out that while this experience certainly gave definition to Lin's emerging focus, sharpening her interest in memorial spaces and their role in everyday life, Maya Lin not go to Denmark to make this discovery. "Or take me. I grew up in America of the 1950s and early 1960s—a country obsessed with its relation to the Soviet Union and to a perceived Russian lead in math and science. Sputnik went up in 1957; two years later I was in one of the first eighth-grade algebra classes in the country. My senior class in high school was one of the first to study calculus and physics with calculus, and I went off to college sure I was going to be a mathematician or a physicist. I didn’t even know there was such a thing as philosophy. Luckily, my first encounter with higher mathematics led me to two discoveries: first, what was behind my focus on physics and math was less that I was genuinely interested in these subjects than that I thought I was good at them; and second, there were many people who were much better mathematicians and physicists than I could ever be. For the first time, I was vividly aware that math and physics simply weren’t things that I thought much about except when I had to. Equally luckily, this happened at the same time I was taking my first philosophy class, and equally obviously, philosophy really was something I wanted to think about. "A final word about resisting trend and fashion. When I went off to college, as I said, everybody, it seemed to me, was a budding scientist, and the humanities appeared squishy, soft, and irrelevant. By the time that Jim Tobin was an Honors undergrad at Michigan in the 1970s, the political struggles of the late 1960s and early 1970s had changed all that. Science had become tarred by a post-Vietnam association with the “Military-Industrial Complex,” and it was possible to graduate from LSA with no formal study of science whatsoever. In fact, Jim has told me that he actually did. But that doesn’t mean that Jim hasn’t thought deeply about science and the technology it makes possible. Quite to the contrary, the two books he has written since Ernie Pyle’s War are, respectively, To Conquer the Air (on the Wright brothers and early aviation) and Great Projects, which accompanied the well-known PBS series on American technological marvels, such as the building of the Hoover Dam and the invention of the Internet (not, it turns out, by Al Gore). This is work on the social meaning of science and technology. "My point is that in the longer run even of your own life, trends and fashions like these will seem awfully transitory. Consider science alone. When I was in College, space and physics was where the action was; not a whole lot seemed to be happening in biology. When Jim was here, science seemed to many to be kind of retrograde and inhumane generally. Today, the life sciences, especially at the molecular and cellar level, are where the big discoveries seem to be happening. As exciting as these are, however, there is lot going on elsewhere, even elsewhere in biology (in evolutionary theory, for example), and today’s fashions will look pretty dated tomorrow. "So, we’re glad and excited you’re here, and we want to do everything we can to make your journey of discovery here at Michigan as exciting and fulfilling as it can be." 8/28 Things are beginning to happen very quickly now! Yesterday was the final Orientation session, and tomorrow things start for real with the Honors Kickoff for entering students at 1 pm in Angell Auditorium B (with a reception in the Perlman Honors Commons to follow). Also, we will be beginning an exciting new study abroad program this coming spring: Honors in Florence. Carol Dickerman will join me at Fresh Ideas in the Honors Commons on October 2 to talk about it. 8/5 As we near the end of Orientation, I'd like to share a couple of things I learned from my conversations with entering students about honor. Those of you who took part in the sessions will recall our discussions of Aristotle's idea (advanced in Nicomachean Ethics, Bk. I, Ch. 5, if you're interested), that honor can't be the most important value, since we clearly care more about being being honored (esteemed, respected, etc.) by wise people, that is people whose opinions and judgment we respect. And if that is so, then what must matter to us more than the fact of their honor is that we be worthy of honor (by being involved with things that are significant and really matter, as we seem to ourselves to be when we are aware of being honored or esteemed by someone we honor and respect). This led me to suggest, jokingly, that it might not be a bad thing if our program were called something like the "Really Intrinsically Valuable Program," or something similar (suggestions?). That way, we'd keep the ideals of meaningful intellectual exchange, development, and growth front and center and not get distracted by the honorary, which is really secondary. Anyway, in the course of these discussions, one person suggested that we look to people we respect to show us "the path," and for signs that we are ourselves on that path, and not on the wrong one or just living aimlessly. It doesn't matter for this point whether we see the path as leading to someplace valuable, or as being valuable in itself, or both. In earlier discussions, I had been putting Aristotle's point in more static terms, as though what mattered were simply a result of some kind, and not, as least partially, a process, and I found this student's formulation very helpful. On a different day, I asked a group of entering students for examples of people whom they respect. One student suggested, "Bob Hope." Now I have to admit: I wouldn't have thought of this example in a million years. And my first reaction was pretty skeptical. But here again, the more I thought about it, the more apt the example seemed. As the student, explained, Bob Hope came from humble beginnings, a large immigrant family with little money, and by the dint of hard work, and nothing that could count as sparkling talent, he brought joy to millions with a kind of humor that, was, well, good-humored, and gave tirelessly of himself for worthy causes. I mention these instances, because they are vivid examples to me of what I think this program is all about--learning interesting things from one another by being part of a community who all share the desire to learn and grow intellectually. Second, I've already gotten a lot of interesting and encouraging responses to my message yesterday announcing this Blog and some of my plans for the Honors Program. One especially thoughtful one expressed some concerns about exclusivity of the Program and Commons and, along the way, said a lot of things I really agree with that seem worth sharing. I would summarize these (and no doubt distort them--I hope she will forgive me) by saying that the last thing we want is to further or create an island of complacent self-congratulation. In my view, "Honors Program" is actually a misnomer. What we should be about is nothing honorary, not honoring ourselves, but the kind of challenging, committed intellectual exchange that is worthy of our honor. My idea is that to do this we need a place outside of the classroom where these exchanges can reliably be expected to take place, and my hope is that at least one such place will be the Honors Commons. So we need to maintain a relevant sense of place there (so that it doesn't just become, say, an extension of the Computer Courtyard). However, I regard it as an open, discussable question exactly how we maintain this sense of place--suggestions appreciated. Unless the spirit moves me, this will be probably be it for a couple of months, until the term starts in the fall. I just wanted to say hi, to get you thinking, and to invite you to think along with me about how we can make a wonderful LSA Honors Program even better.